This stylish MacBook Pro mockup comes to you in 4K resolution. 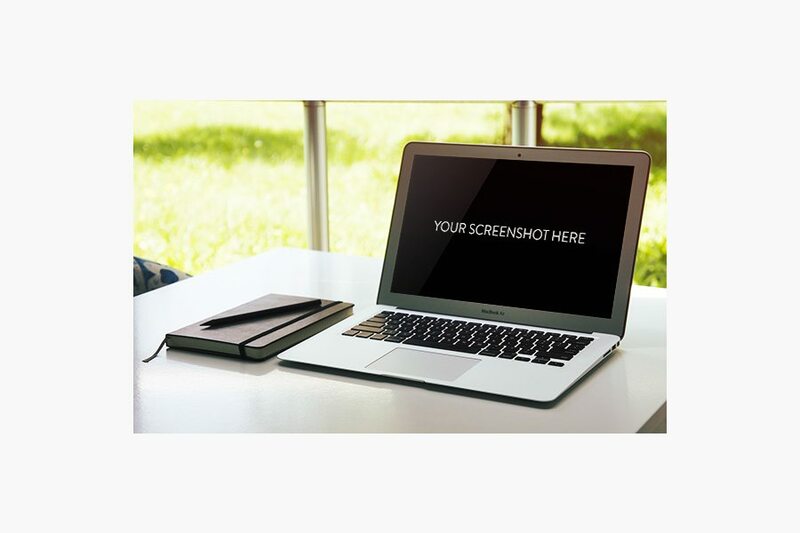 It’s fully equipped with changeable backgrounds and smart objects for easily editing and placing your own designs in the mockup. The template is available in 2 styles and supports both Photoshop and Sketch app. A mockup template of the new MacBook Pro 2018. 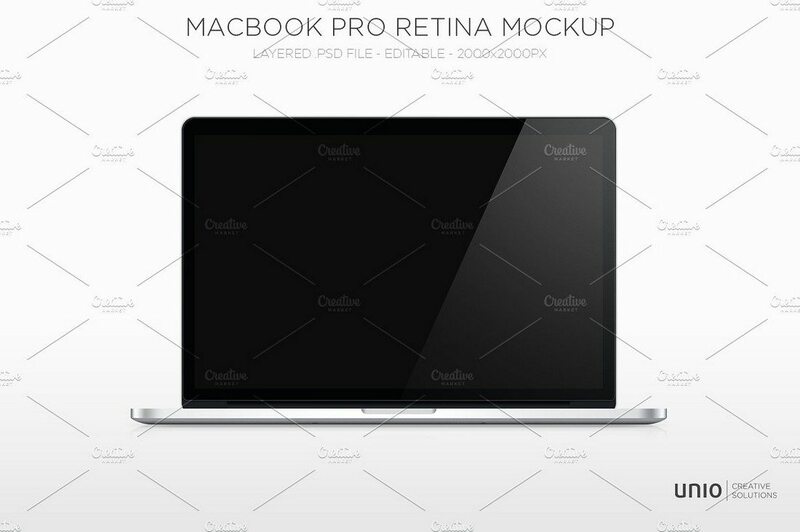 This template features an elegant front-facing MacBook Pro mockup featuring grouped layers and a separated background. The template is available in 5000 x 2600 px resolution. This unique MacBook mockup PSD comes with a stylish isometric view. 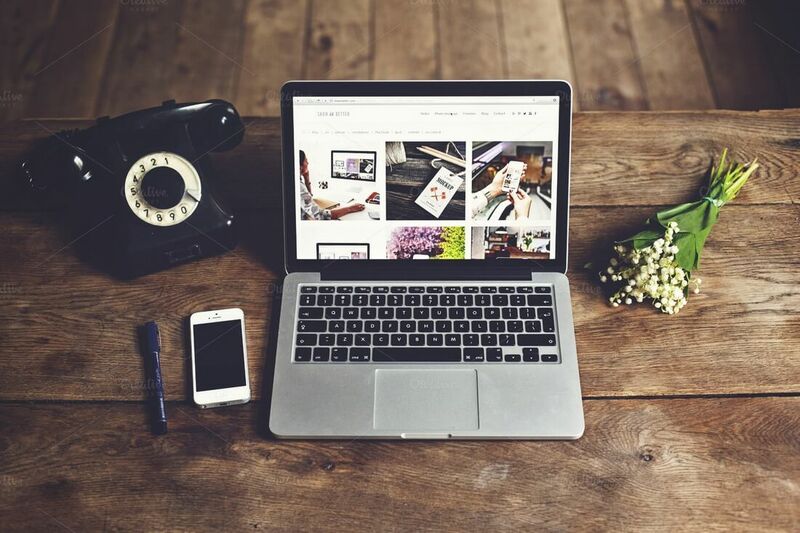 It’s perfect for crafting a modern website header image and showcasing your products and apps with style. The template comes fully-layered in PSD as well as JPG and PNG versions. 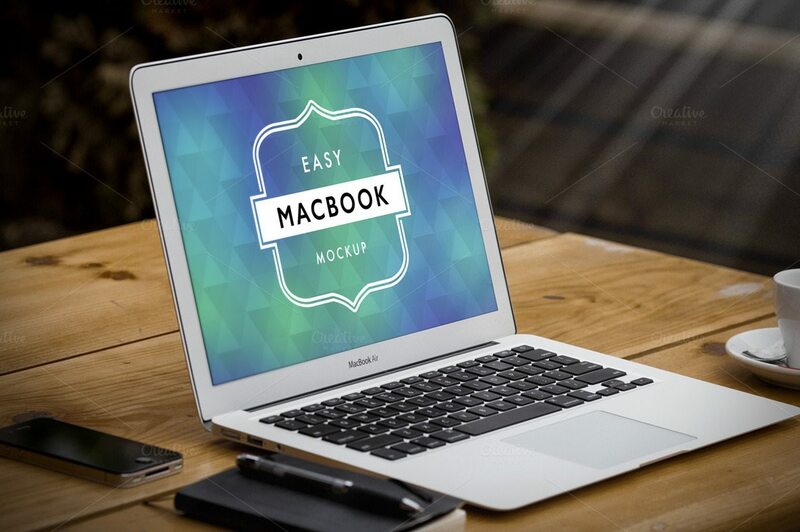 This is truly one of a kind MacBook mockup template that comes with incredible customization options. 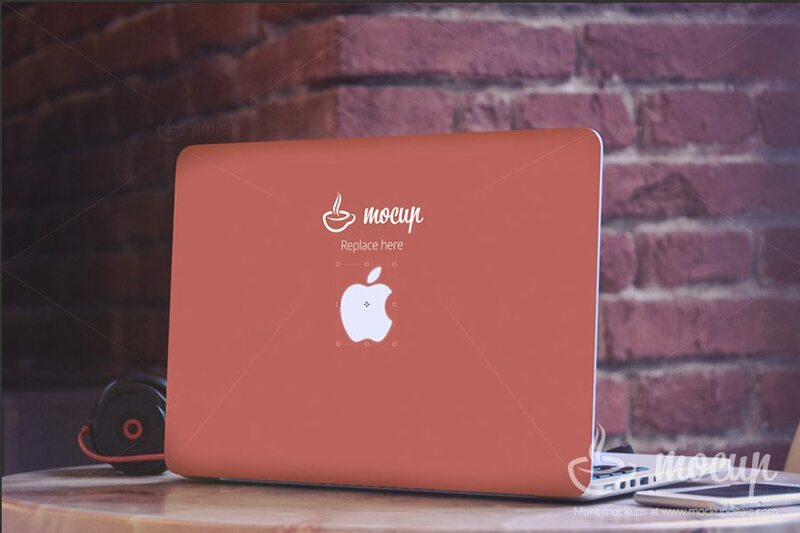 This template can be easily customized to change the colors of the MacBook to personalize the mockup to your preference. It also features a changeable background and organized layers. 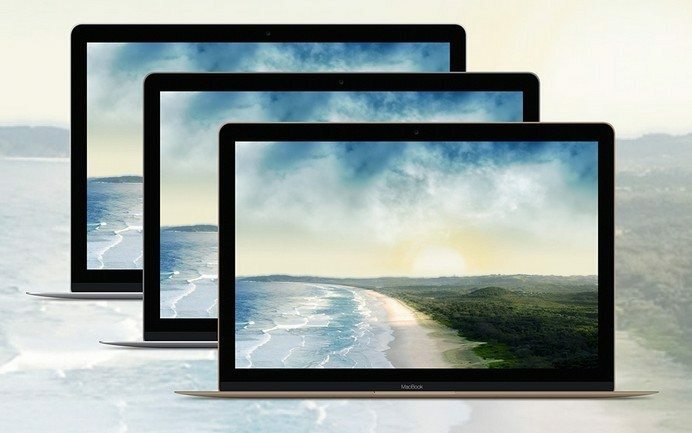 A collection of three high-res photo-mockups of a MacBook Pro. 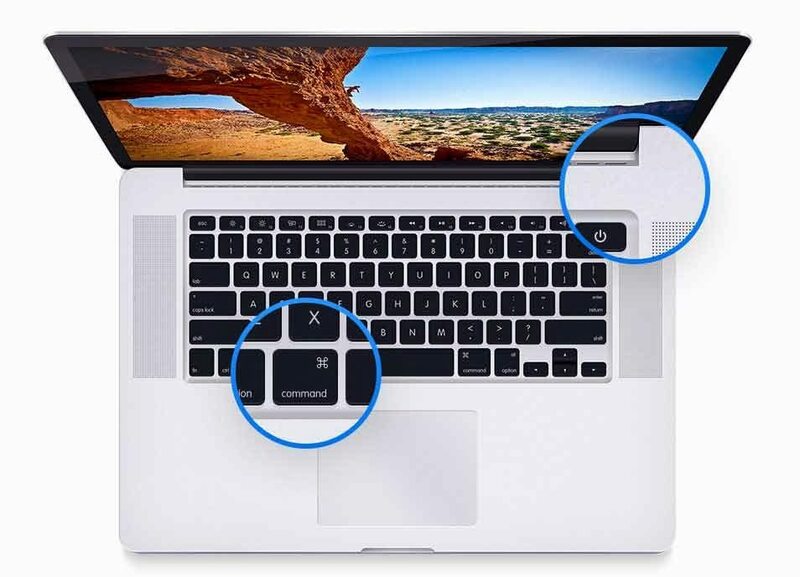 They include this MacBook on a wooden desk with a mouse, and another with the MacBook pushed up against the wall. The mockup comes with a smart layer for showcasing your design and a filter that makes your screenshot look right at place in this lighting. 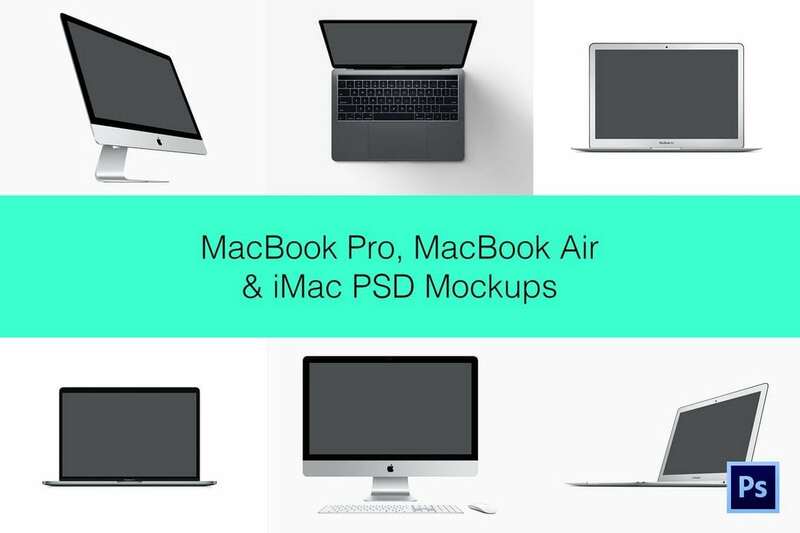 A collection of mockup templates featuring device mockups for MacBook Pro, MacBook Air, and iMacs. 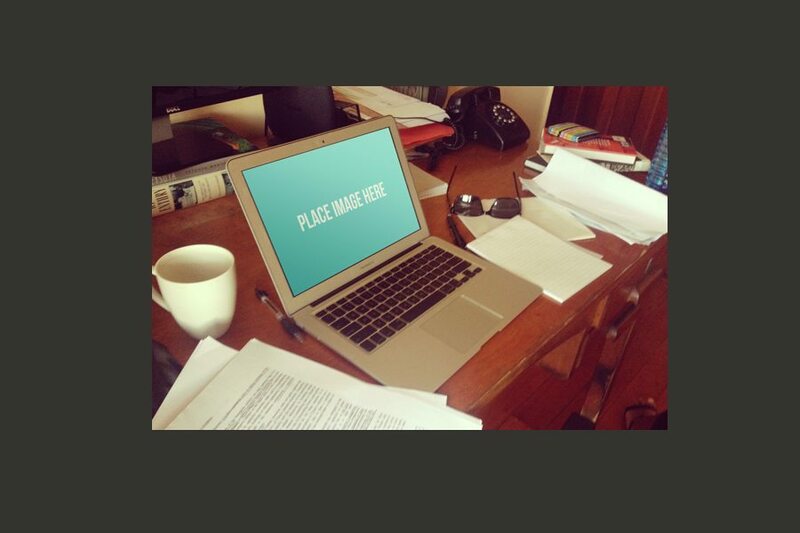 The MacBook template comes in grouped layers and smart objects for easier editing. 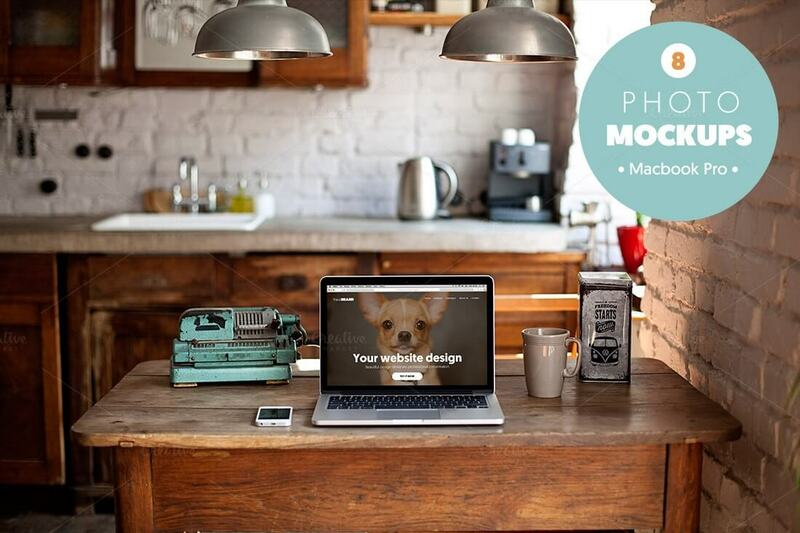 If you prefer to create your own mockup designs and scenes, this bundle is for you. 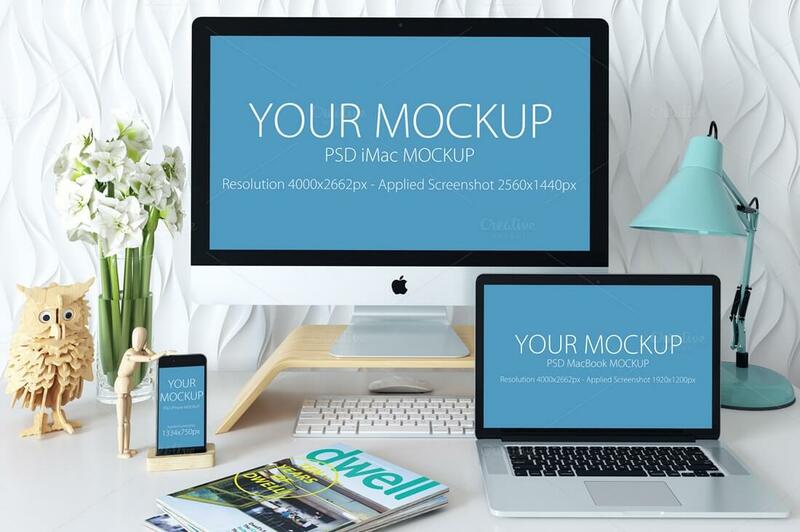 This collection comes with separated device mockups for creating your own mockup scenes. 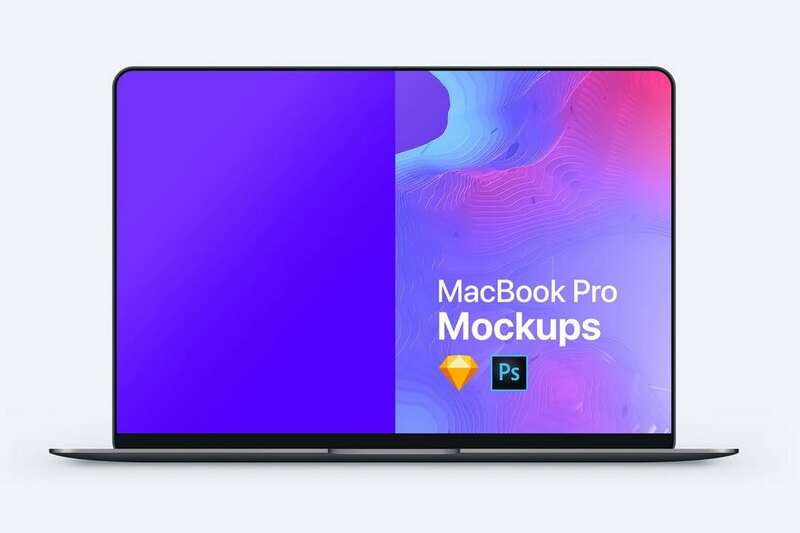 It also includes 10 pre-made mockup scenes and 12 scene generators featuring MacBook Pro, iMac Pro, iPhone X, and many other devices. 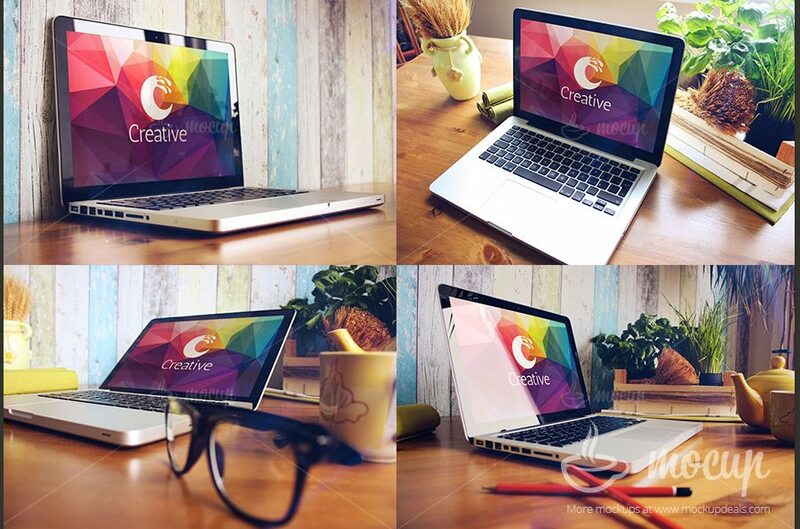 This is a set of creative MacBook Pro mockup templates that comes with real photo-based background settings. 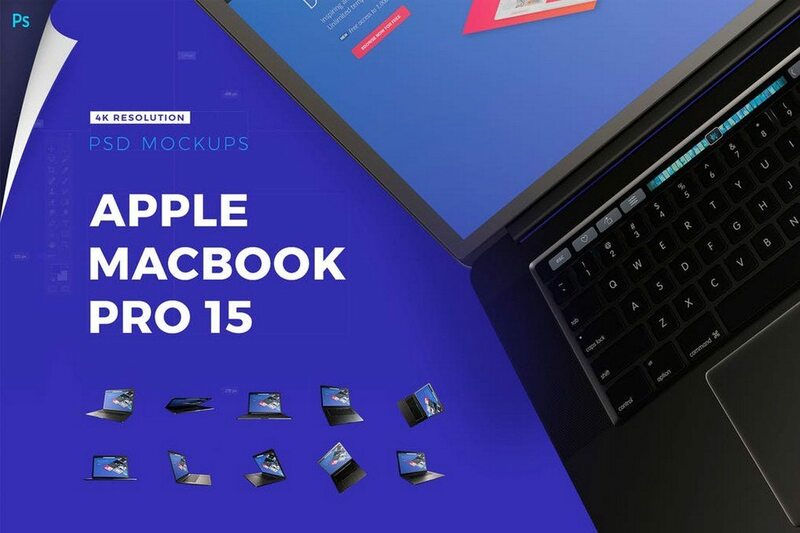 It includes 15 different mockups featuring all sizes of the MacBook Pro with various styles and angles. 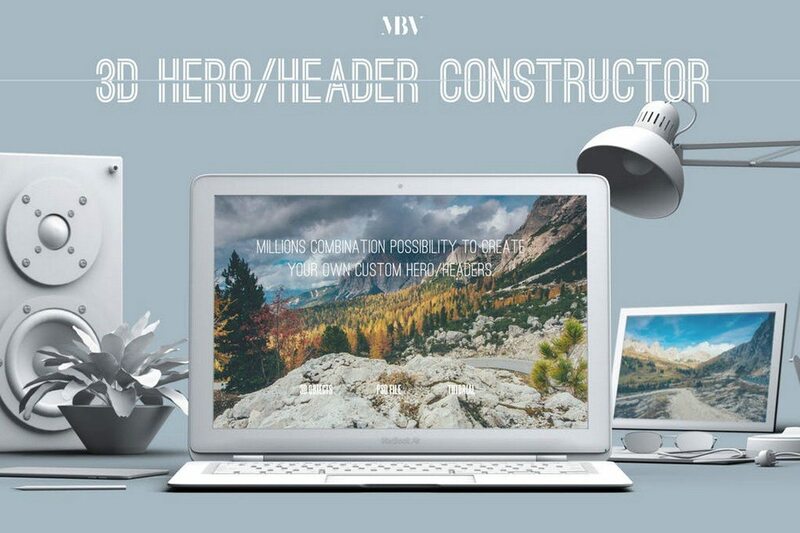 Craft an uncommon hero scene or a header image for your website or social media profile covers using this responsive MacBook mockup template. 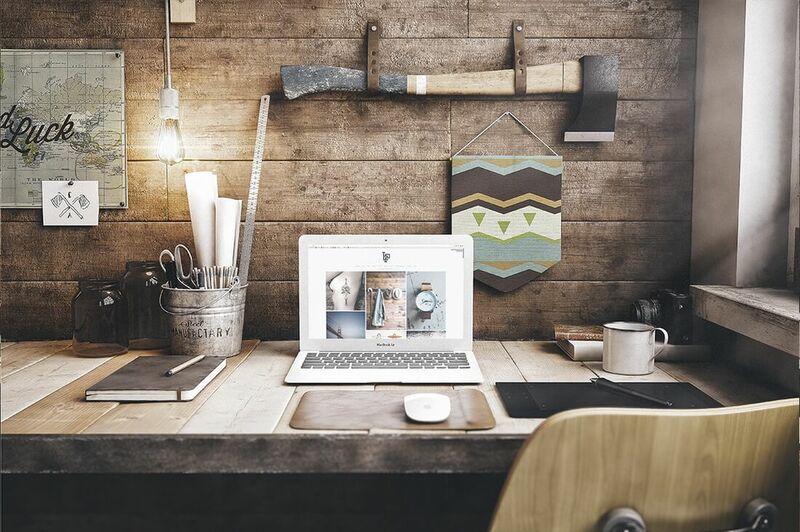 It comes in 2 styles featuring a creative working environment. This is a highly minimalist and clean MacBook Pro mockup template that comes in 3 different angle views and in 2 different colors. It’s available in 5000 x 5000 px resolution and can be easily customized using its smart objects layers. 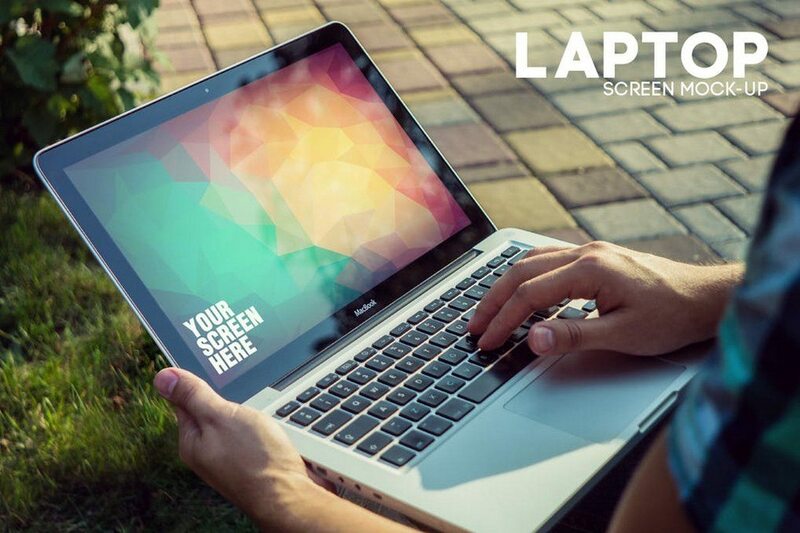 Another creative and real-photo MacBook template that can be used to design a beautiful header or a hero scene. It’s available in 6 high-resolution PSDs featuring different angles and views of the device. 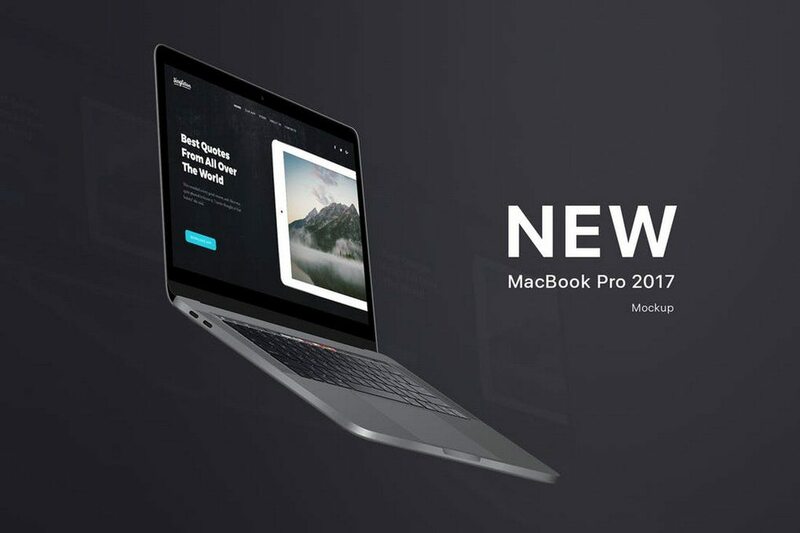 This bundle of MacBook Pro mockups includes 10 different mockup templates featuring different angles of the new MacBook Pro with the touch bar. The mockups are also available in easily editable PSD files in 4K resolution. 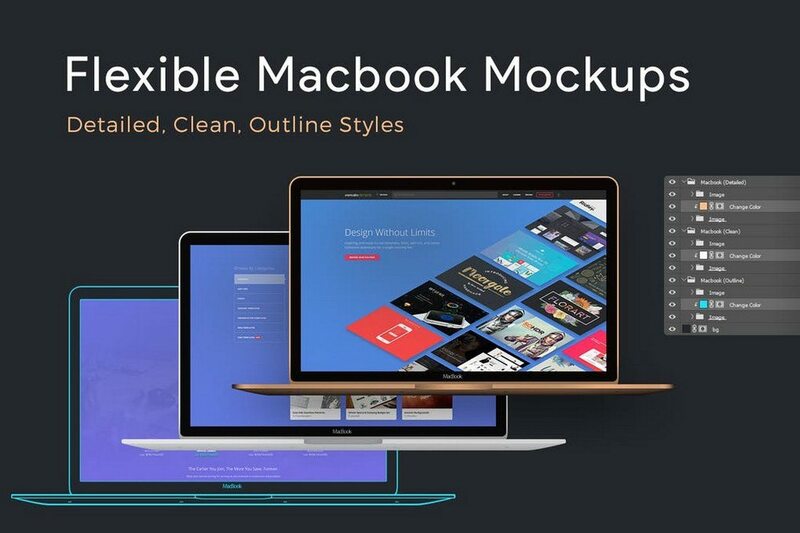 A highly flexible set of Macbook mockups that allows you to customize and edit the templates however you like. The PSD files are created with well-organized layers to allow you to change colors, shadows, and do much more to personalize the mockups. 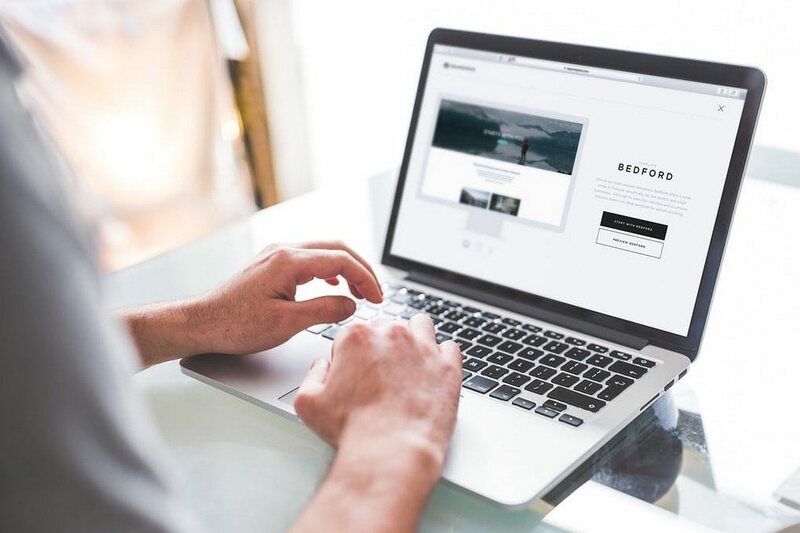 A professional MacBook Pro mockup template that’s ideal for showcasing your websites and web apps. The tilted angle of the mockup makes it also great for using it on your website headers. 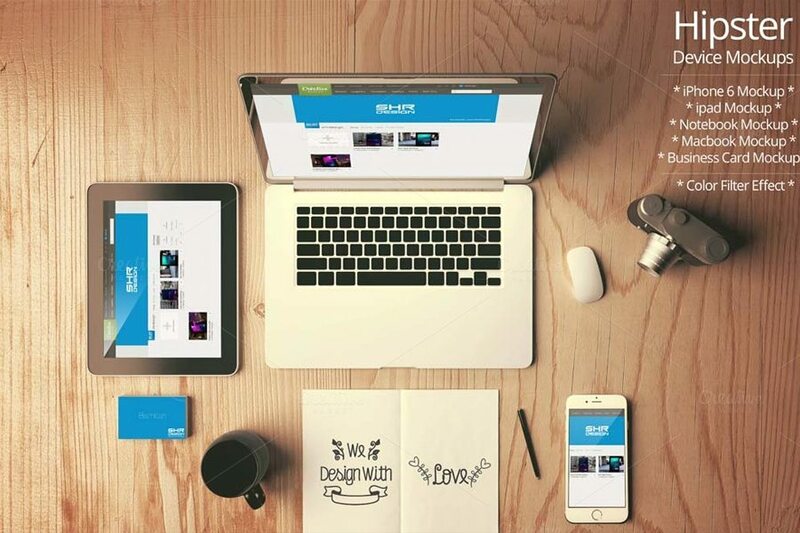 This unique mockup template is perfect for showcasing your designs and for creating a stylish hero image for a website. The mockup features the all-new MacBook Pro at a floating angle. The template is available in an 8000 x 5000 px resolution PSD. Showcase, present, and display your apps and website designs in a professional way using this high-quality mockup template. This MacBook mockup is fully customizable and comes with smart object layers to let you easily edit it to show off your designs. This is a bundle of 21 unique MacBook Pro mockup templates that feature mockups based on real photos and real-world backgrounds. 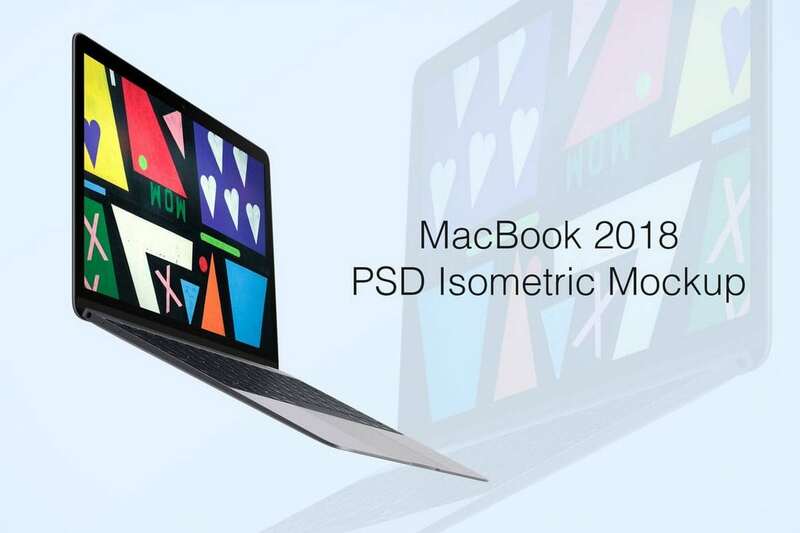 The many different background settings and the angles of the MacBooks in these mockups will let you present your designs in several different ways. An elegant MacBook Pro mockup featuring a highly minimalist design. It comes with 3 different angle views of the laptop and in 2 colors. 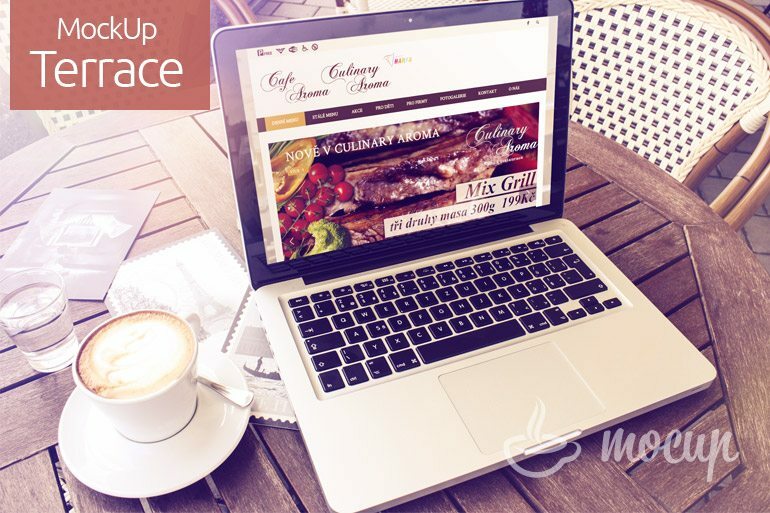 It’s perfect for showcasing high-end apps and website designs. Another set of mockups of the new MacBook Pro with the touch bar. 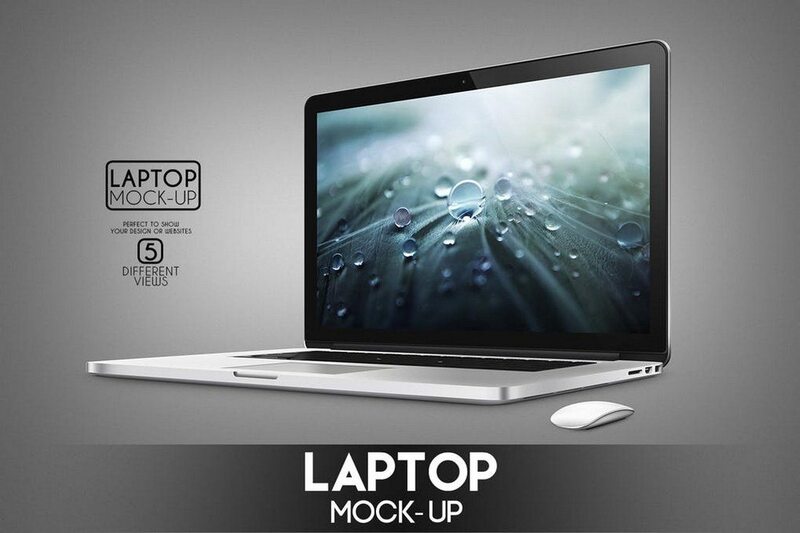 This pack includes mockups featuring 8 different views of the device and in all 3 color models of the MacBook. The templates are available in 4500 x 2500px resolution. 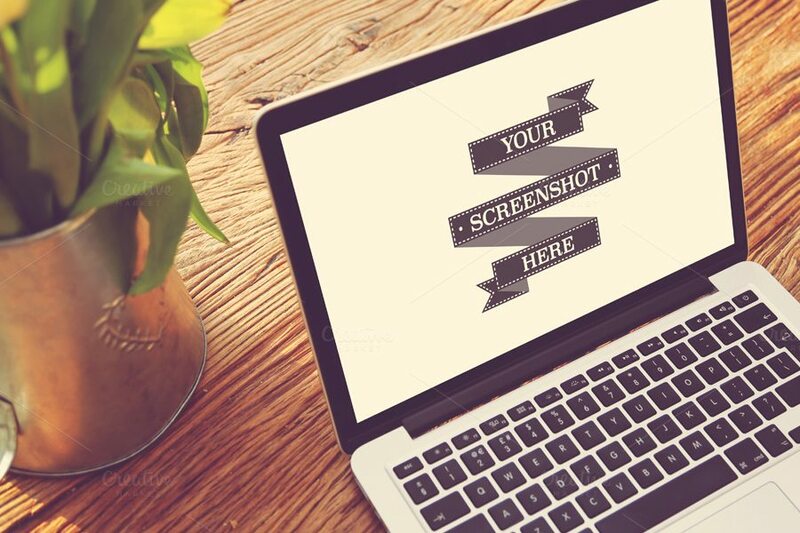 This is a quite unique mockup template that shows a person pointing to the screen of a MacBook. This gesture makes it a lot useful and a great mockup to showcase a design in an effective way. Especially if you’re using it on a website to showcase a product. 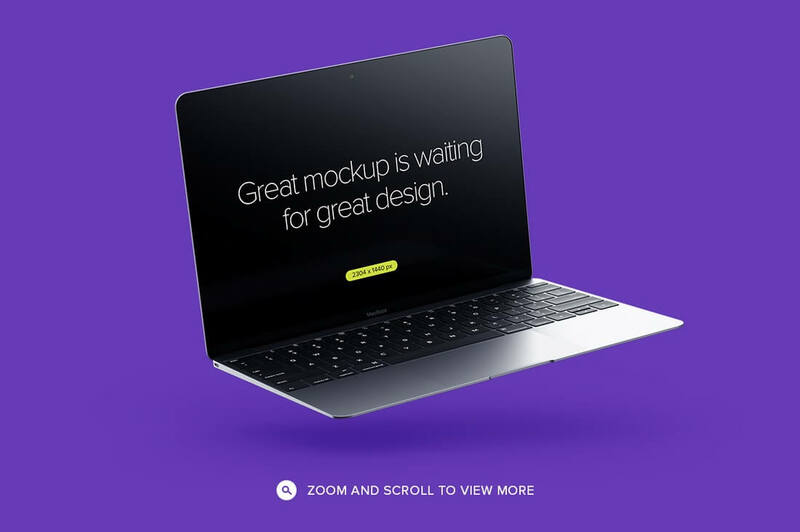 With a beautiful outdoor background, this mockup template gives a great view of the MacBook screen, allowing you to easily showcase your web apps and websites using the mockup template. 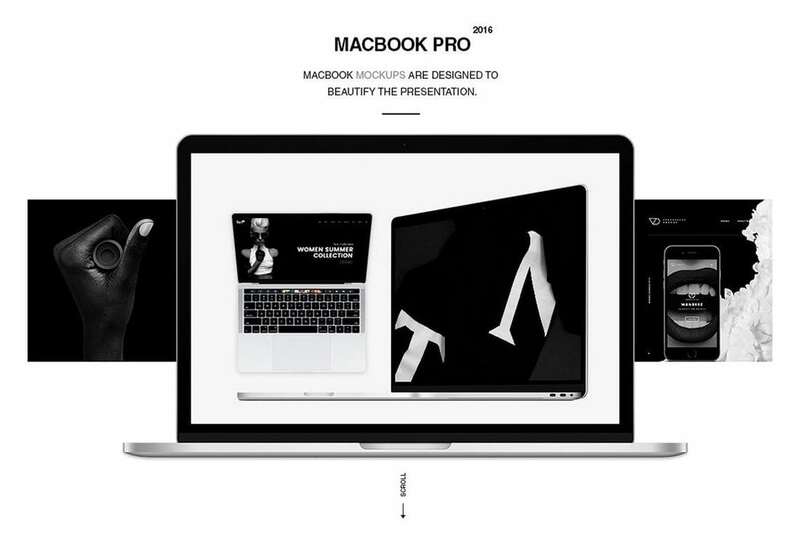 It includes 11 different PSDs featuring different angles of the MacBook Pro. 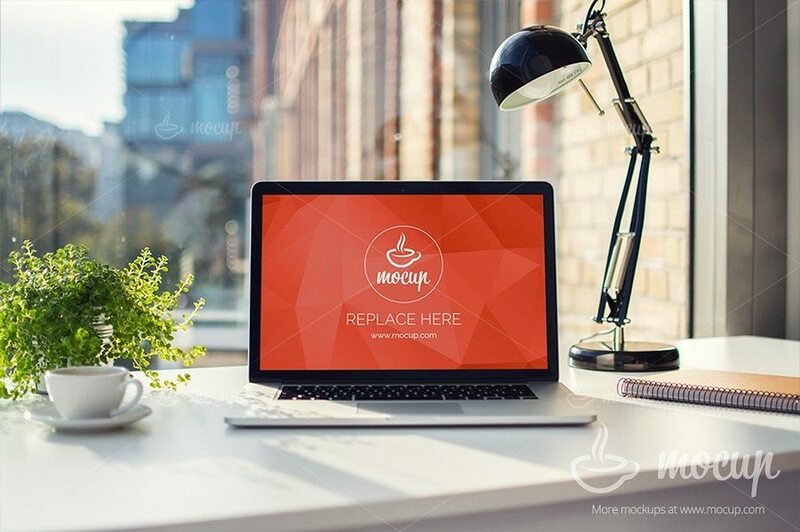 Create your own header or a hero image for a website using this bundle of mockup elements. 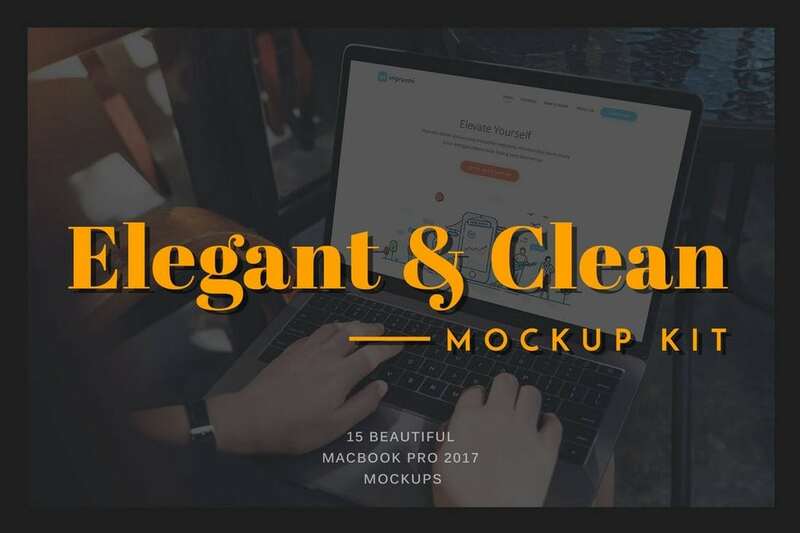 It includes 31 office objects and 7 product mockups, including a MacBook, photo frames, and more that you can easily rearrange to create your own mockup scenes. Another high-quality mockup for showcasing products and designs. 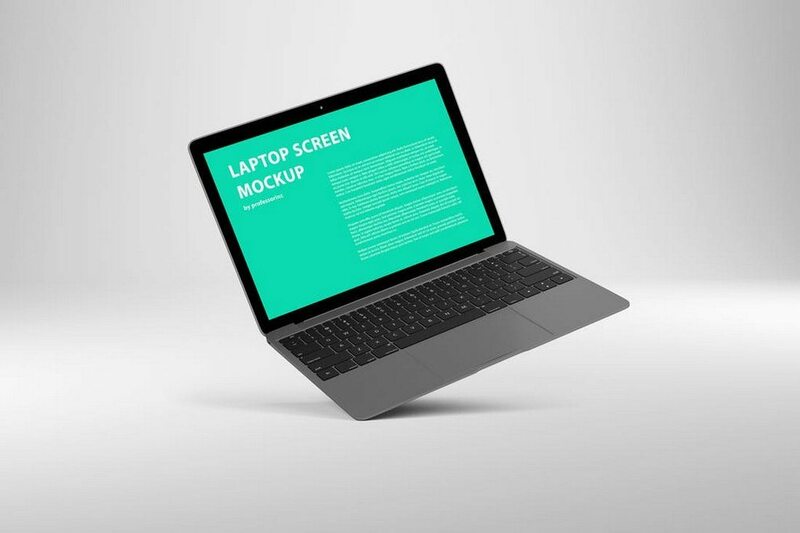 This mockup template gives you a great angle of the MacBook for presenting your designs to clients. It also includes 5 other angles of the device as well. 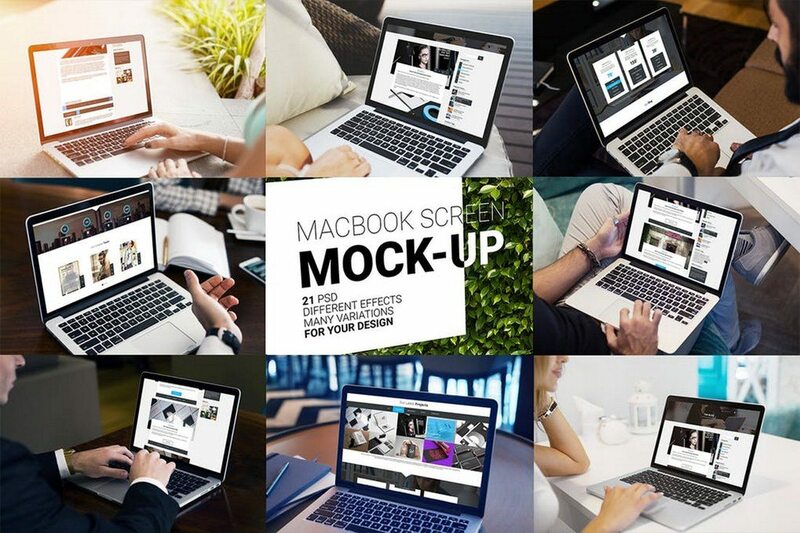 This pack of mockup templates includes 6 mockup files featuring different angles of the MacBook. 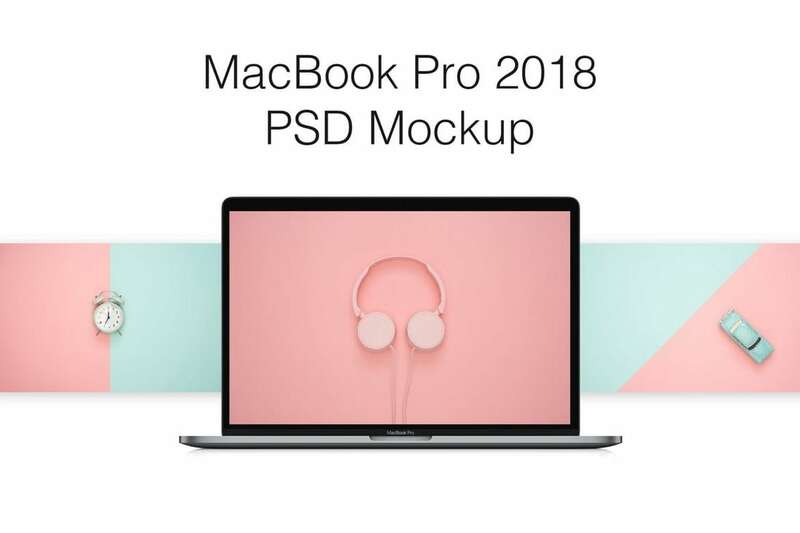 They all feature the elegant space gray model of the MacBook in high-resolution PSD files. 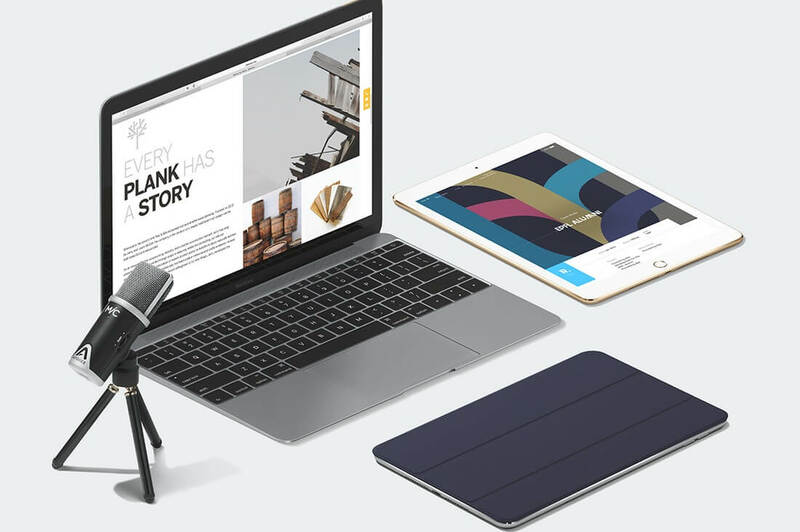 Even though this is technically not a MacBook mockup, you can use it to showcase your designs and products on websites or present it to clients in a creative way. 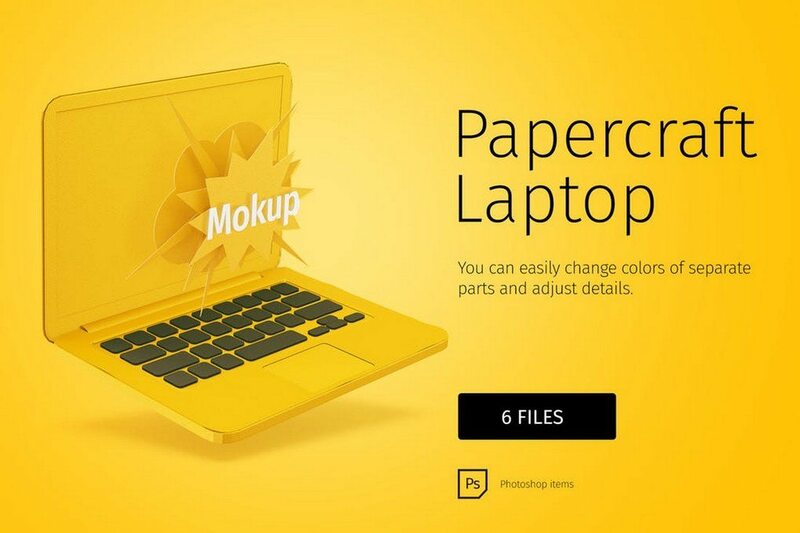 It includes 6 PSD files featuring papercraft-style illustrated laptop mockups. This is a big bundle of mockups that includes 36 mockup files featuring various devices in natural backgrounds. 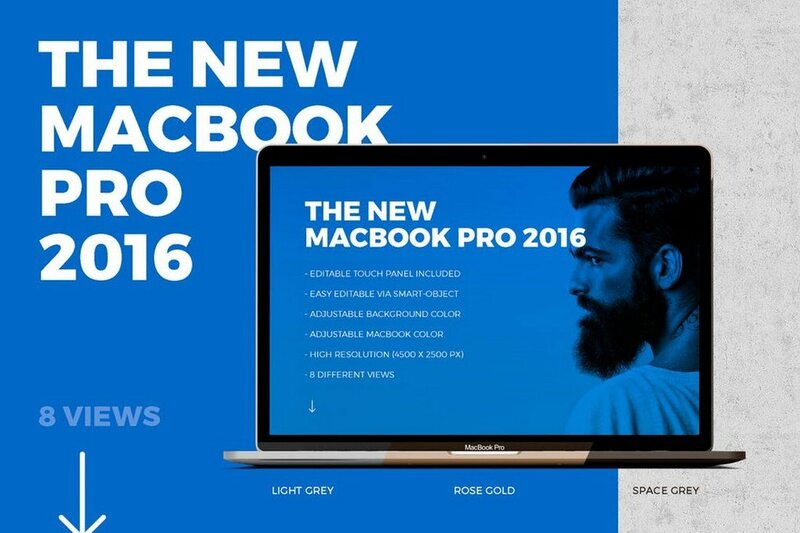 It includes 17 MacBook Pro mockups, 17 iPad Pro mockups, 2 iMac mockups, and much more. 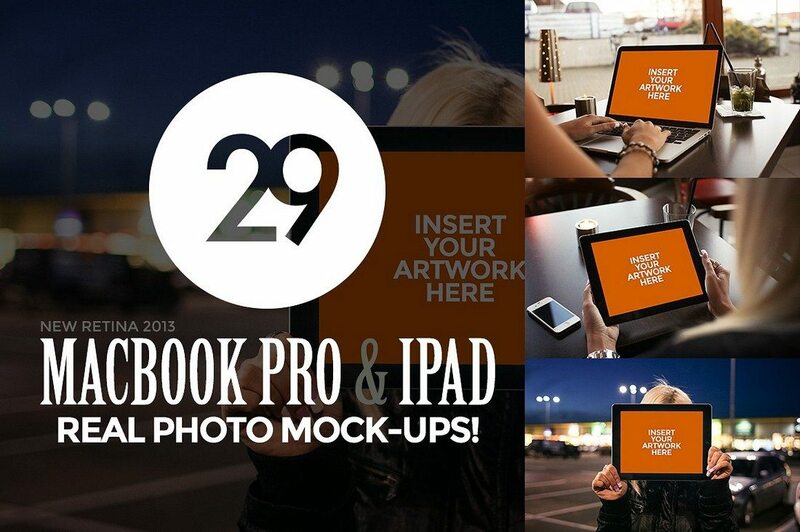 This bundle of mockups comes with not one, not two, but 29 different 13-inch Retina MacBook Pro and iPad mockup templates. Each photo featured in the templates are completely unique and were taken by the creator. Who guarantees you won’t find them anywhere else. 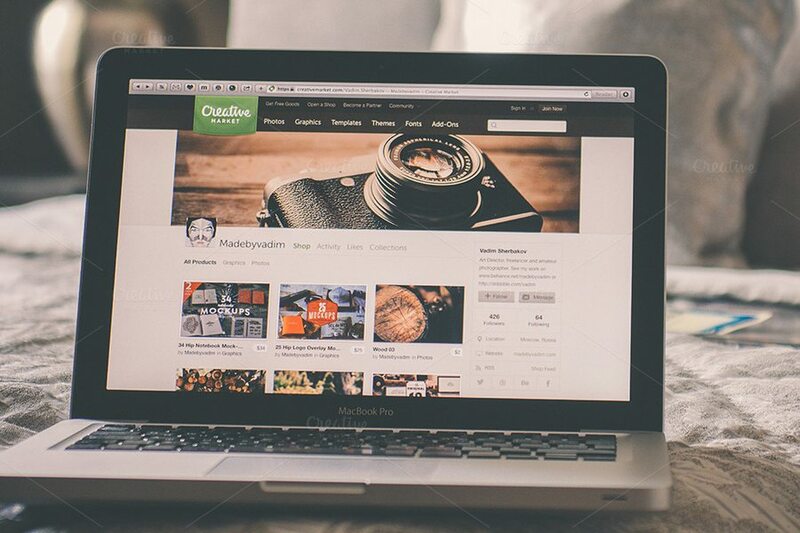 A pack of 9 beautiful mockups of iPad and MacBook templates. Each template has been crafted with fully layered smart objects to make sure you can easily edit them to insert your own designs. This scene features a stylish shot of the latest 2016/2017 MacBook Pro with Touch Bar, next to a Jet Black iPhone. 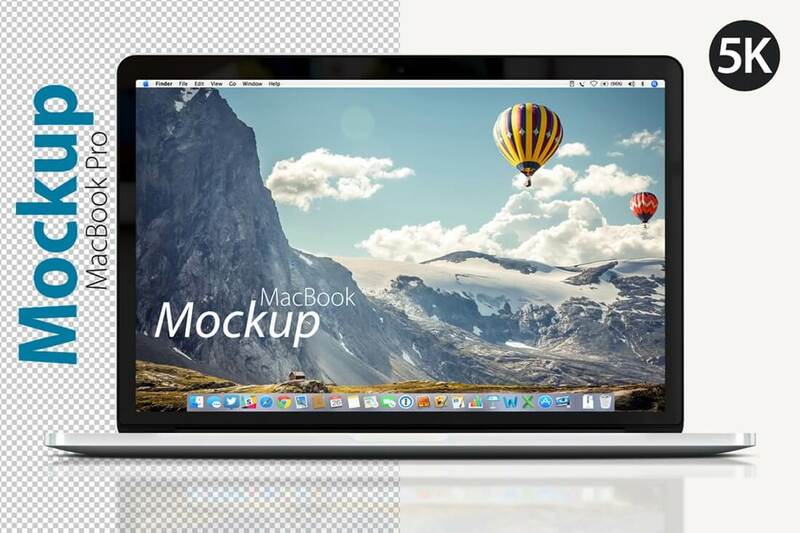 You can use this mockup PSD to showcase your Mac OS app designs, iPhone app designs, or any branding or graphics work. It’s free for both personal and commercial use. A massive bundle of 20 MacBook mockup templates featuring MacBooks in many different angles and perspectives. The mockups come to you in 3000 X 2000 300dpi resolution. 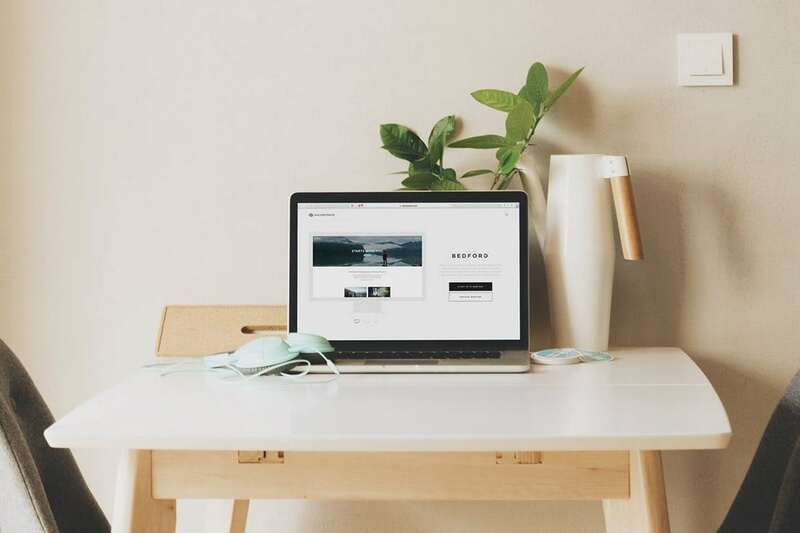 This scenic MacBook mockup depicts a modern home office scene for you to showcase your designs in style. 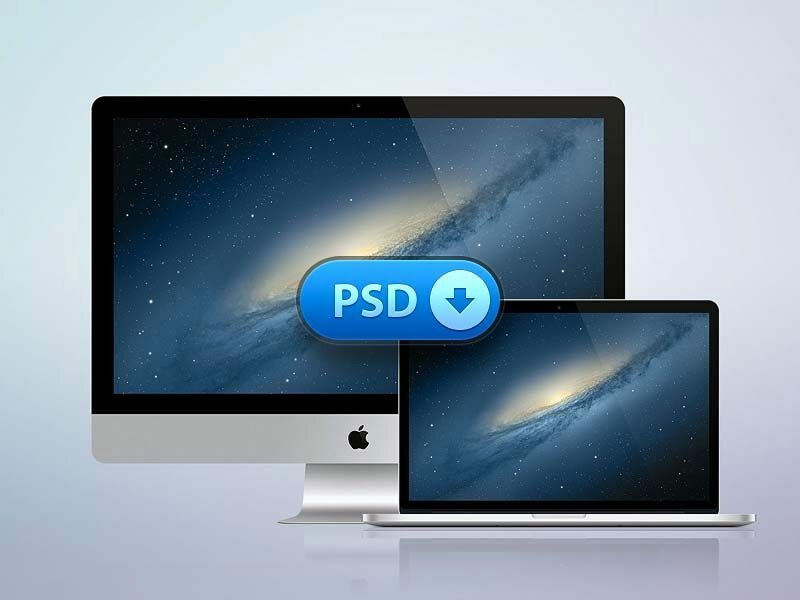 The PSD file is fully editable and features 3088 X 2056 resolution. 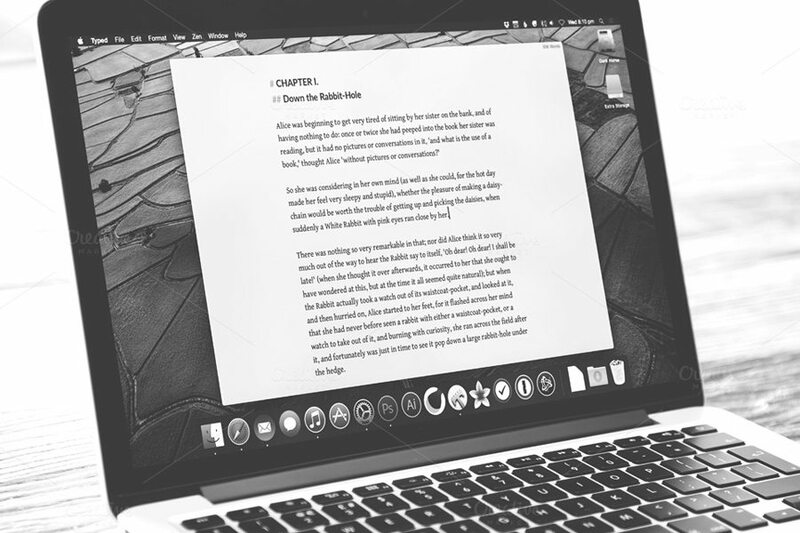 A MacBook mockup with a busy desktop scene. 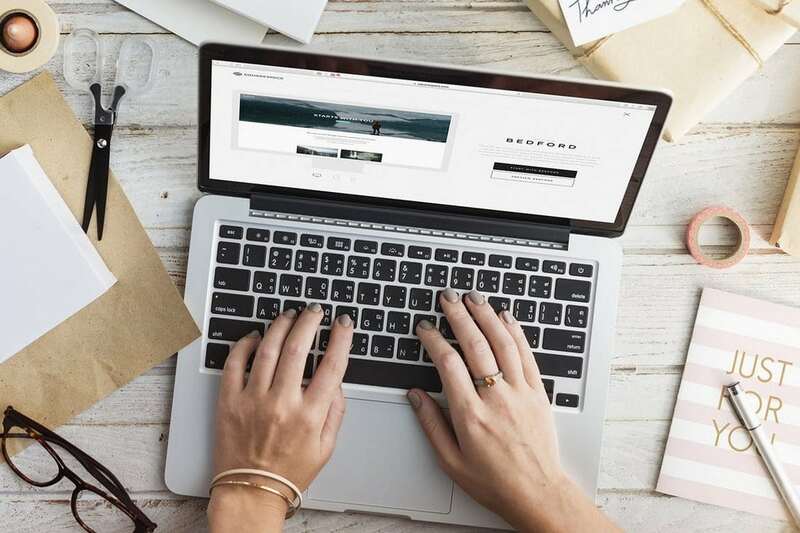 This template is ideal for creating a website header, social media covers, blog posts, and more. 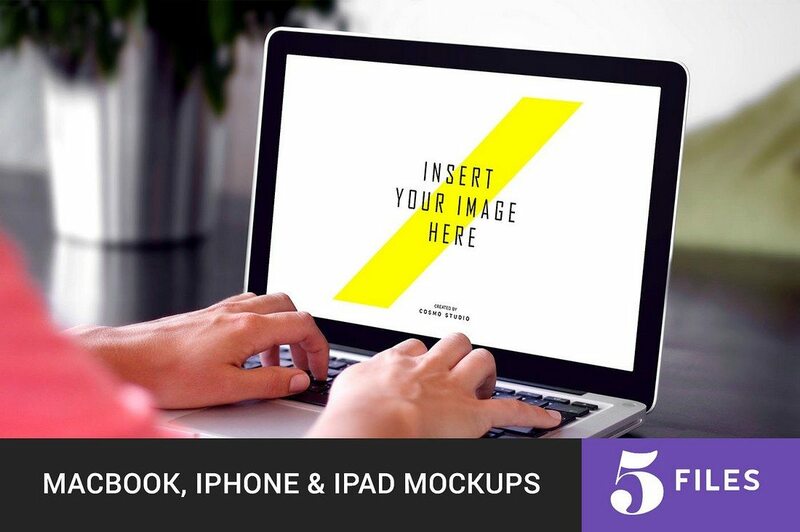 This bundle of mockup templates comes with 5 mockup files, including 2 MacBook mockups, 2 iPhone mockups, and 1 iPad mockup. All featuring 3000 X 2000 resolution. 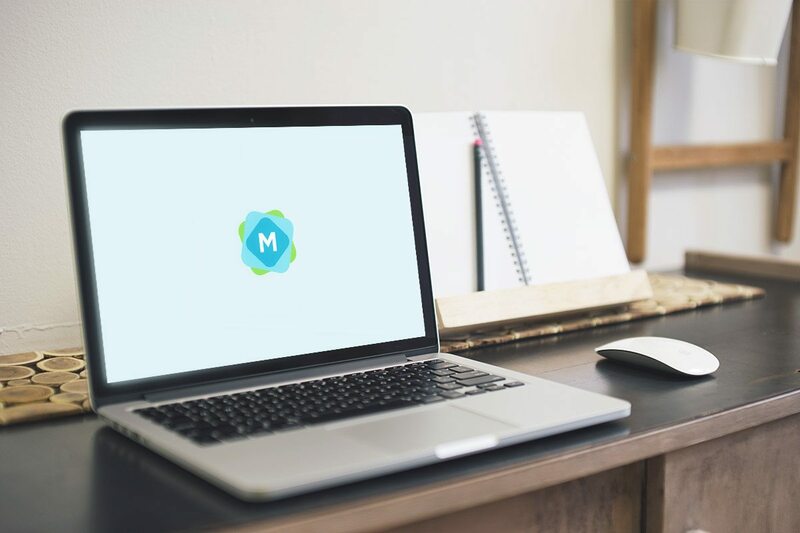 This MacBook Pro mockup comes with a busy office work environment for showcasing your apps and service designs. 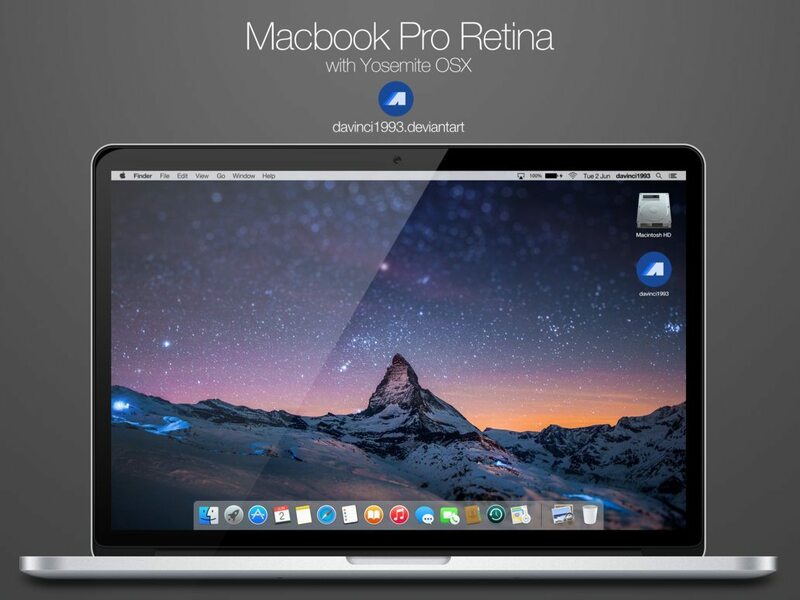 The template comes in 3088 X 2056 resolution with MacBook Pro screen size at 1280×800 pixels. A MacBook in a modern and a minimal desk environment. 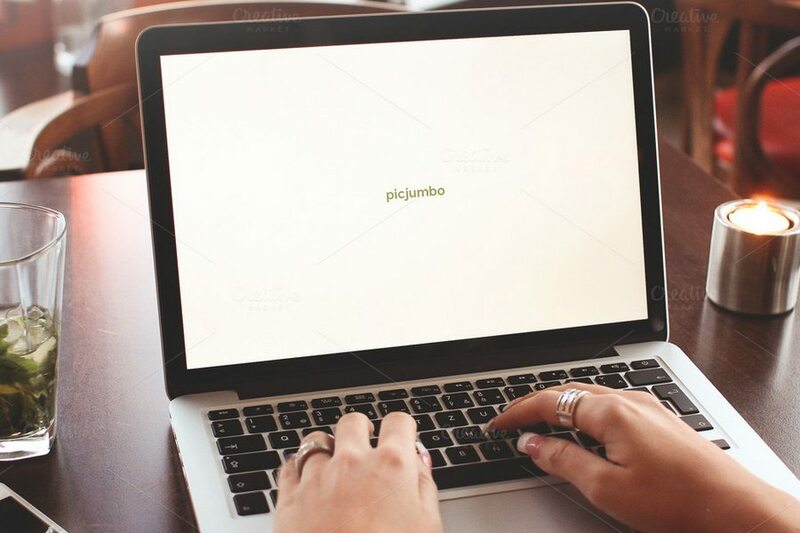 This mockup is perfect for a startup website header, social media, and other design needs. This mockup features a MacBook Pro Retina. The template PSD comes fully layered with smart objects and with editable shadows and reflections as well. 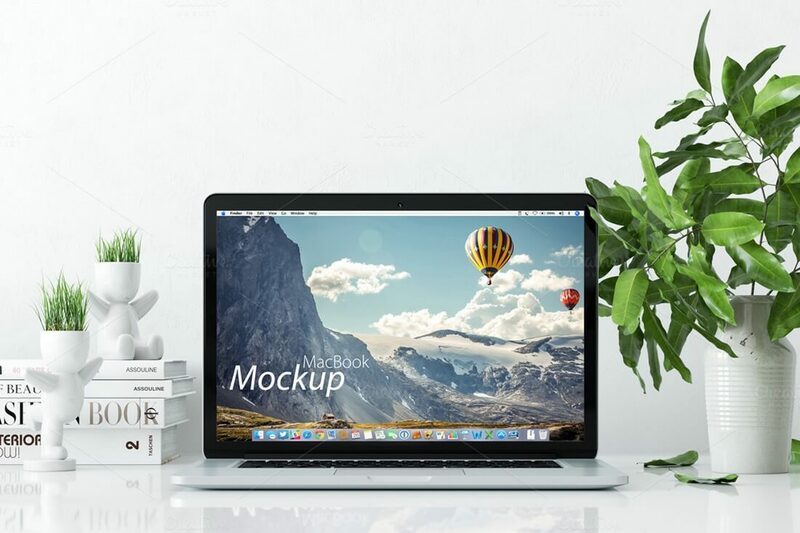 This MacBook Pro mockup features a modern and a stylish background that will fit in nicely with your minimalist designs and presentations. 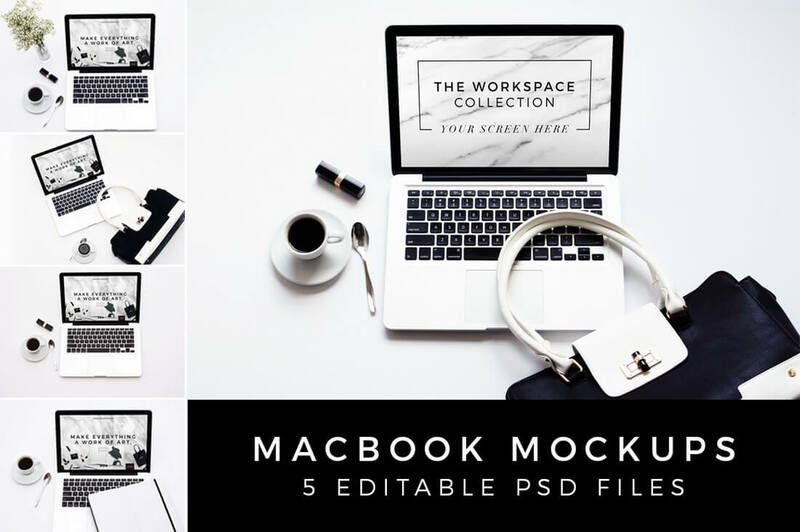 This bundle features 5 different MacBook Pro mockups depicting different scenes from a brainstorming session. 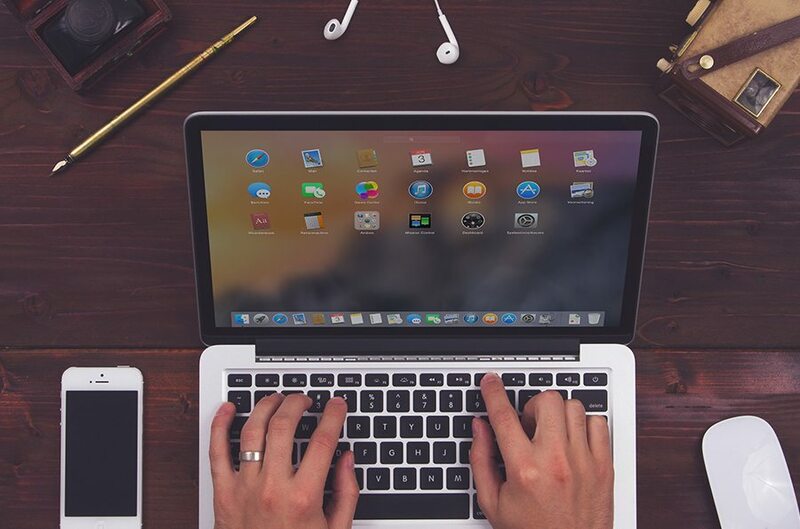 An all-in-one mockup featuring a MacBook, an iPhone, and an iMac, all in one place. 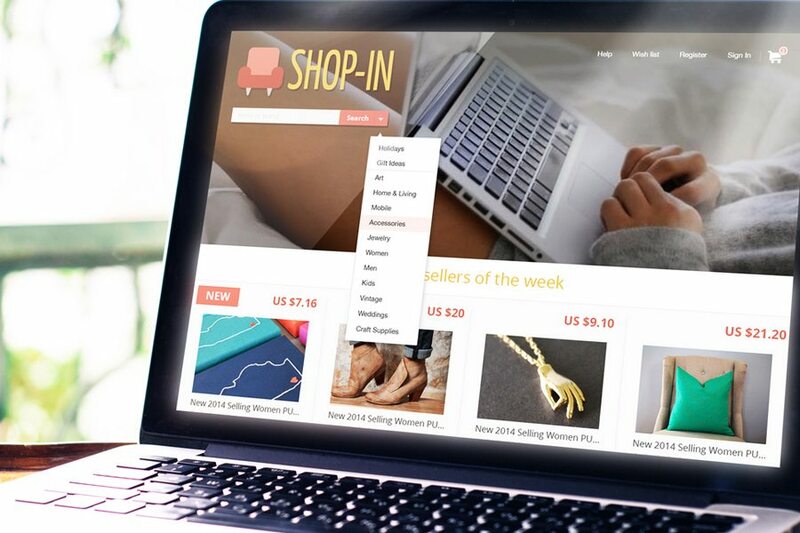 It’s ideal for showcasing the responsiveness of your products or websites. A MacBook Pro mockup that’ll fit in with any background you have. The mockup itself is also fully layered and easily customizable. Featuring a stylishly elevated MacBook, this mockup allows you to customize its color in Silver, Space Gray, or Gold by easily switching layers. 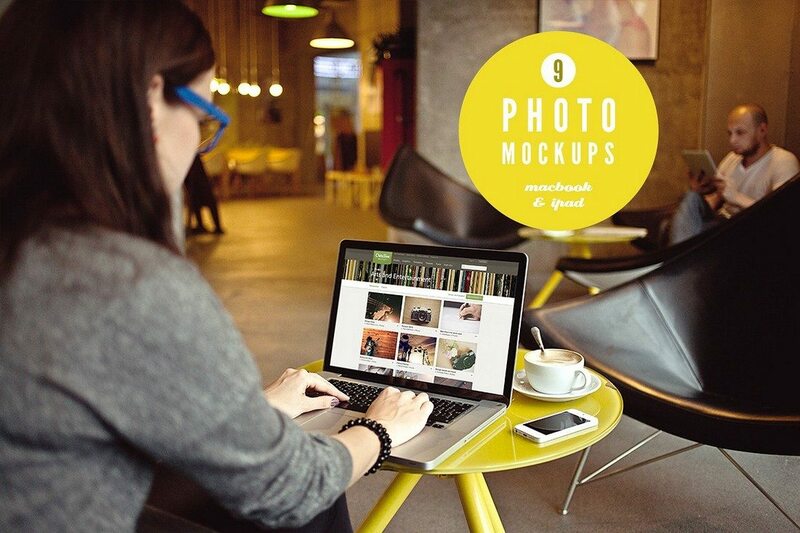 This is a bundle that includes 8 different mockups of both MacBook and iMac featuring a workplace environment. 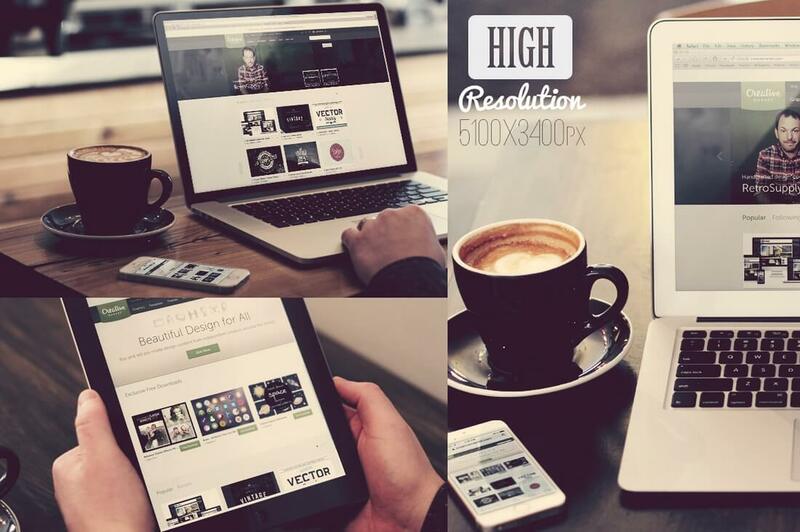 10 high-resolution photos turned into easily editable mockups. 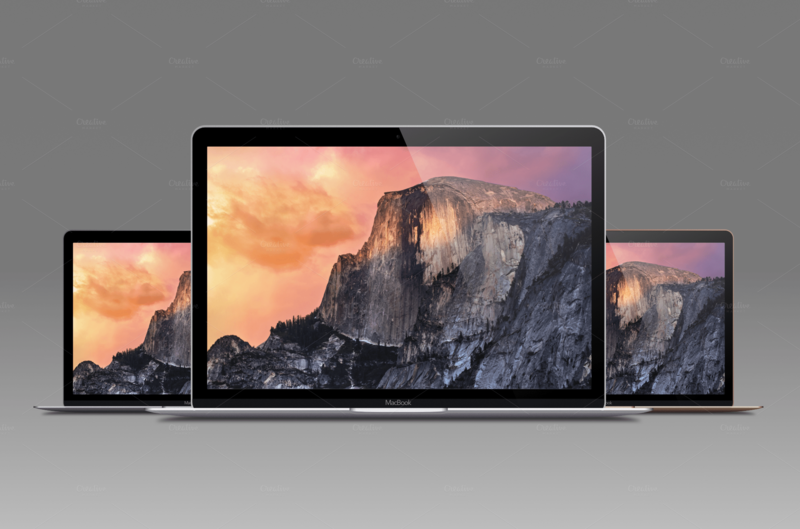 This pack features several different mockups of MacBook Pro Retina and MacBook Air alongside iPhone 5s and iPad. 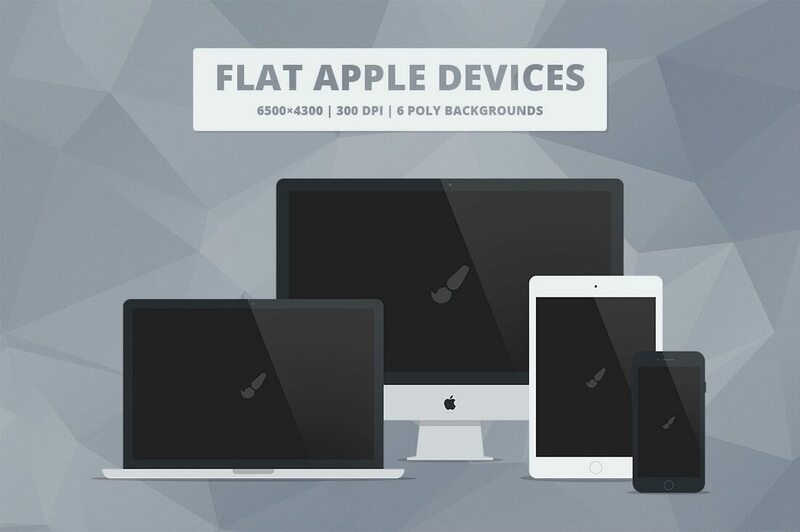 This bundle features flat design mockups of the iPhone 6 (black, white), iPad Air (black, white), MacBook Pro, and iMac with 10 pre-made combinations to be used with your web-based design projects. If you’re working on a project featuring a retro design, this MacBook Pro mockup is the best way to showcase and present your project. 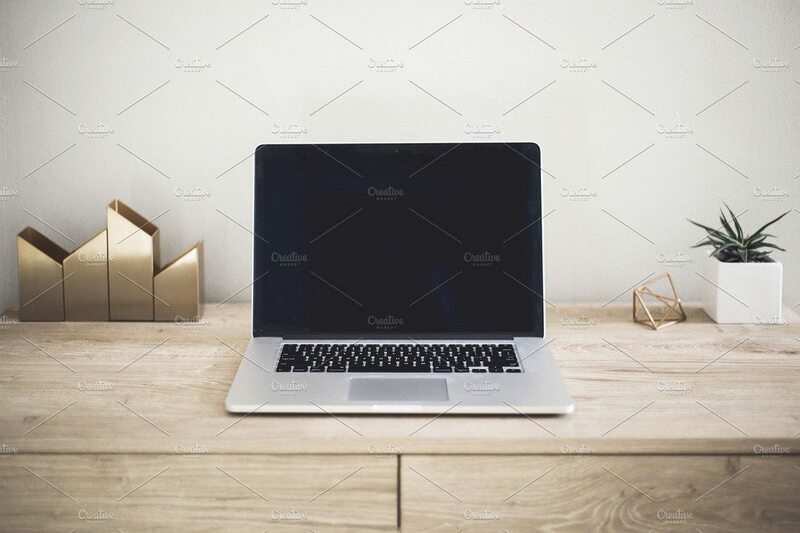 The beautifully minimalist desk background is what makes this MacBook Pro mockup more attractive. The pack includes 8 different mockups shot in different angles. 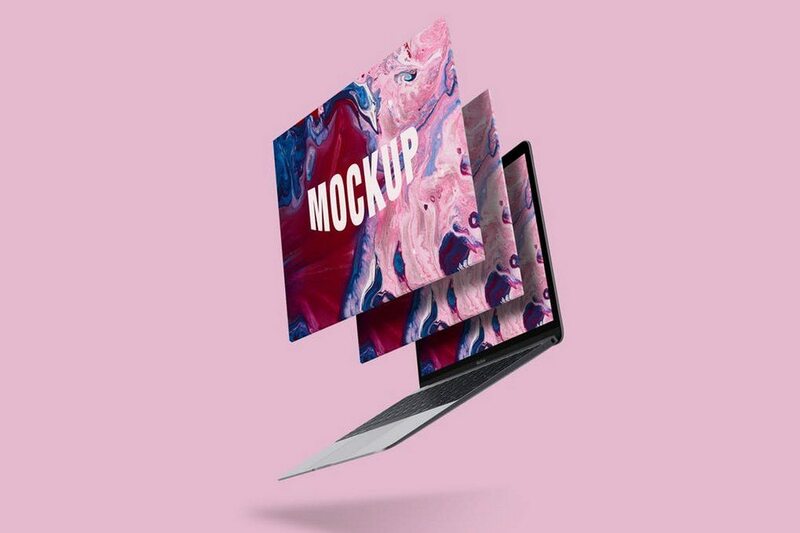 Featuring in-house backgrounds, these MacBook mockups includes 6 mockups in 4 different settings, including bedroom, office/cabinet, and dining room. 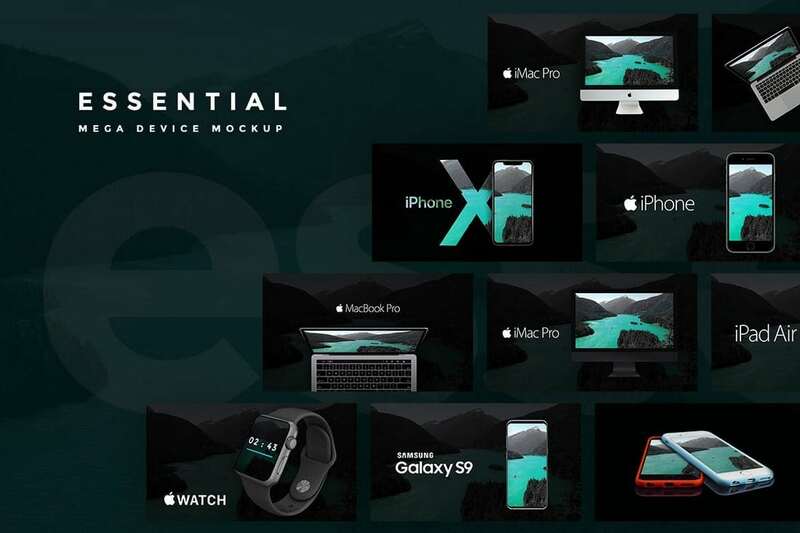 This massive bundle contains 5 high-resolution MacBook Pro mockups, 11 iPad mockups, 11 iPhone mockups, 5 smart watch mockups, and much more. All in 20 layered PSD files. If you’d like to create your own unique scenes using Apple devices, this mockup bundle is the way to do it. 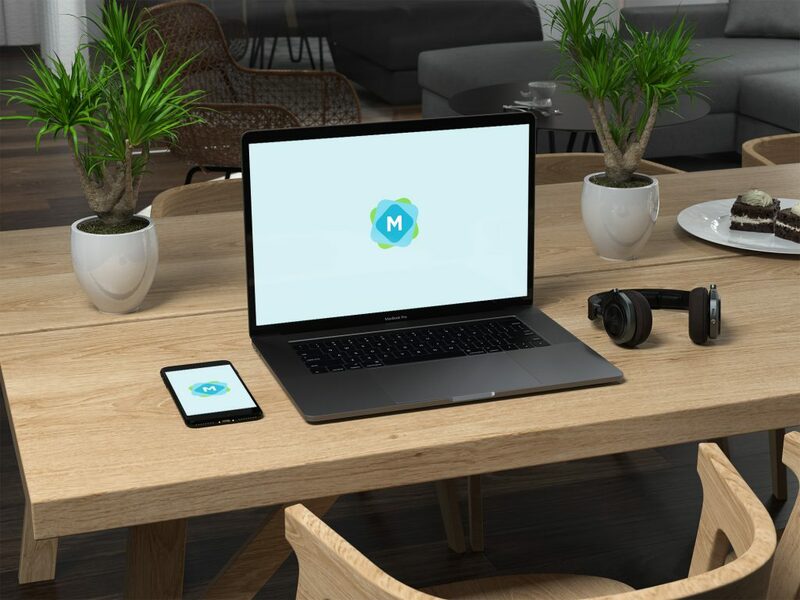 The bundle includes 28 layered mockups of MacBook, iPhone, and iPad, which you can easily move around and customize to create different types of scenes. 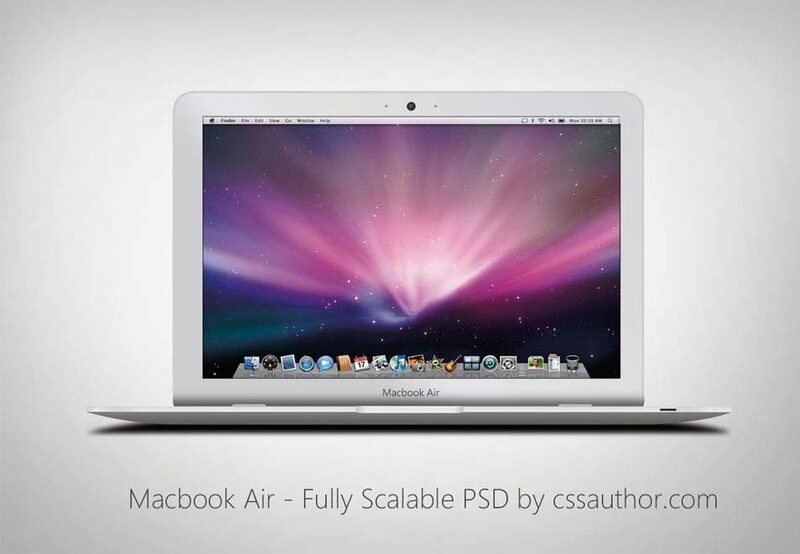 A stunningly realistic photo mockup of the MacBook Air. Ideal for showcasing your brand and web designs. 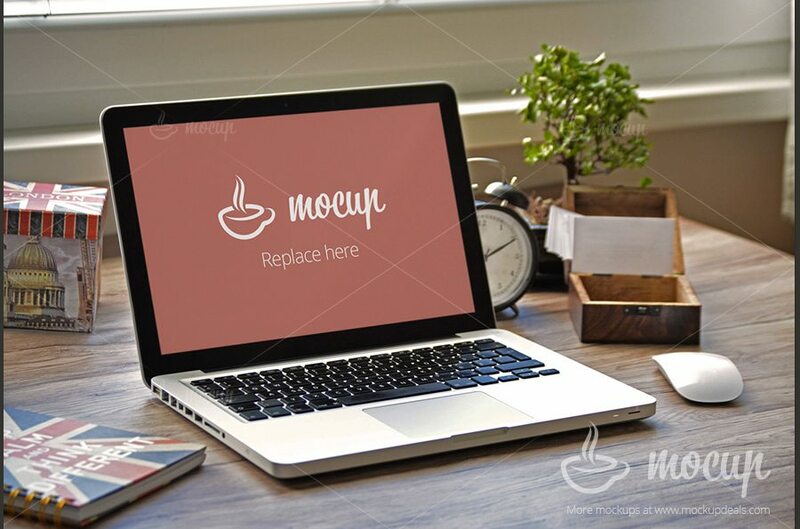 Inspired by flat design, this vector based MacBook Air mockup will certainly make your flat design websites stand out from the crowd. 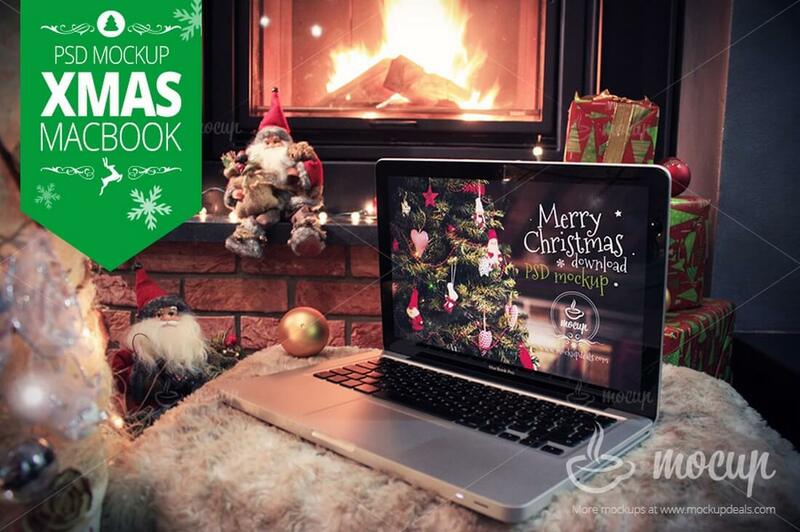 This photorealistic MacBook Pro mockup features a Christmas background setting. If you’re promoting a holiday-themed product or a Christmas sale of a digital product, this mockup is the best choice for you. 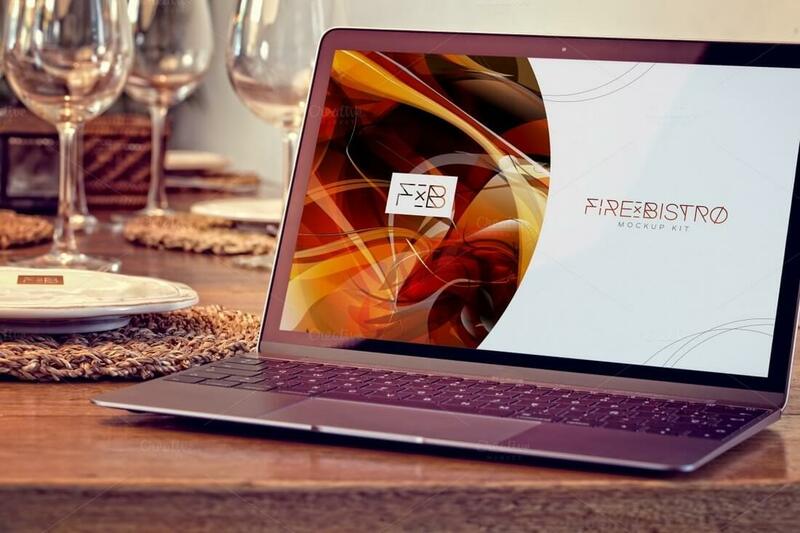 Just as the name describes, this bundle features 5 stylish MacBook mockups featuring elegantly designed backgrounds. It looks ideal for showcasing creative and fashion related designs. 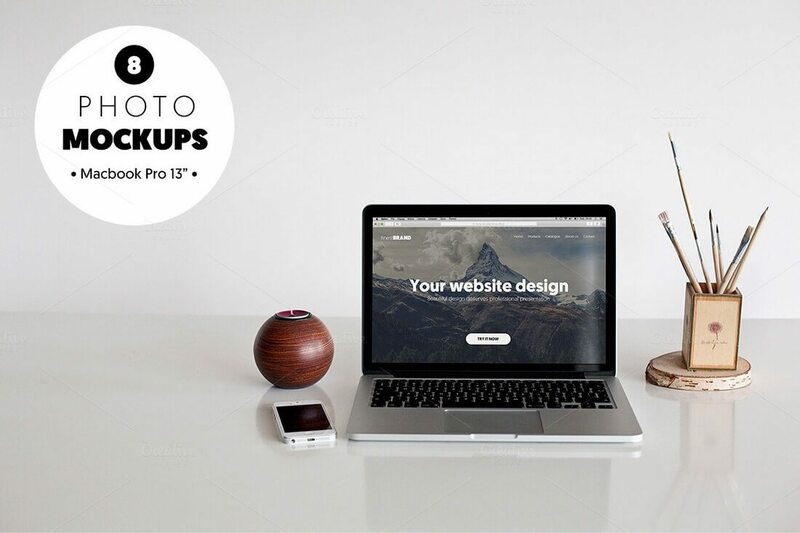 The attractive retro style theme of this mockups bundle makes it truly one of a kind. 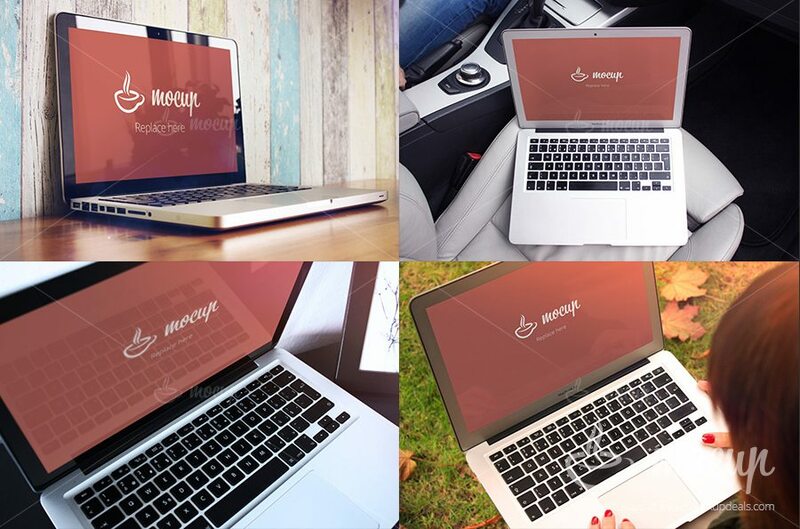 It includes 8 different MacBook mockups featuring different backgrounds and angles. 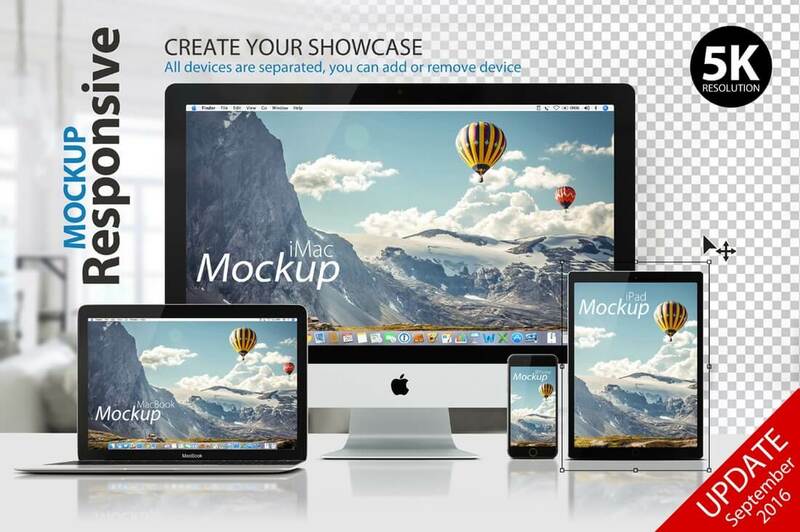 Another mockup for your presentations, featuring an iMac, iPhone, iPad, and a MacBook in one place. 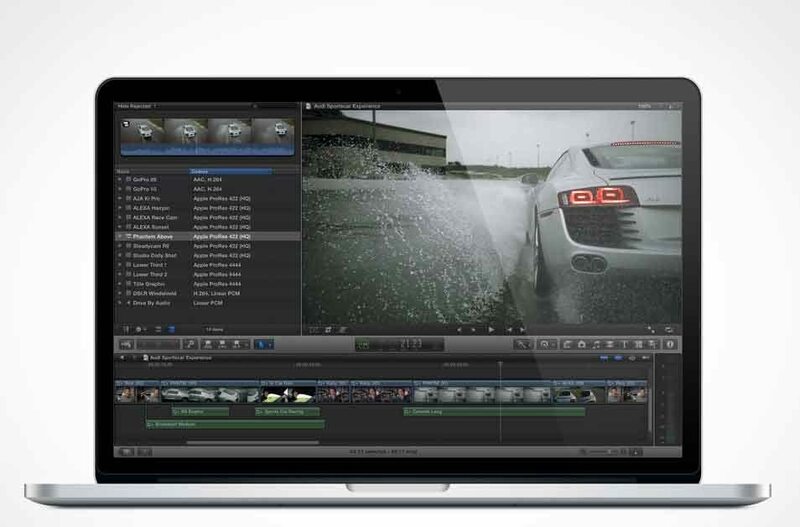 This high-quality bundle includes two different shots of a 13″ MacBook Pro. Perfect to show off any kind of app, website or media project. 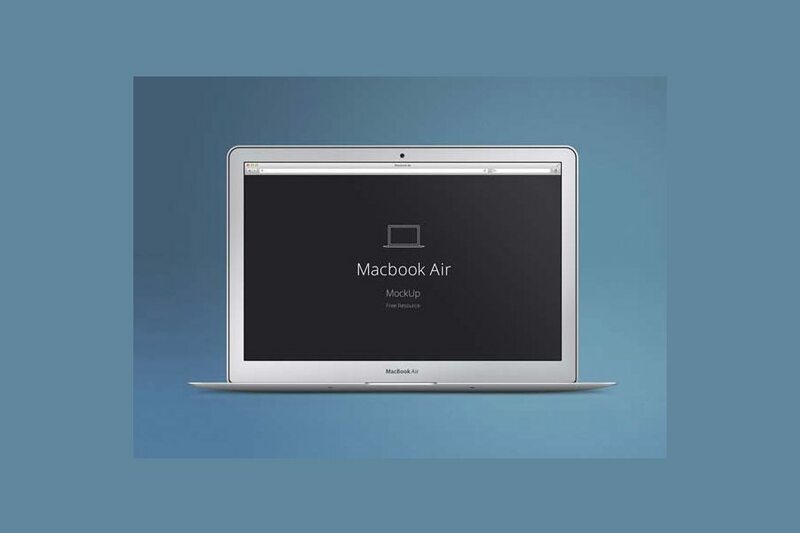 A simple MacBook Air Mockup PSD for creating an easy advertisement, or a beautiful presentation. 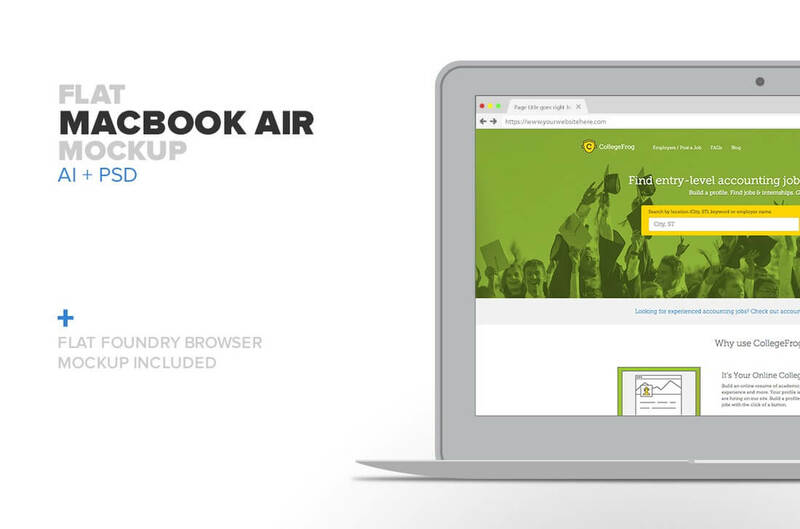 This mockup design of MacBook Air is completely free, and fully scalable. Enjoy! A fully vector version of the new MacBook Pro, gold edition. 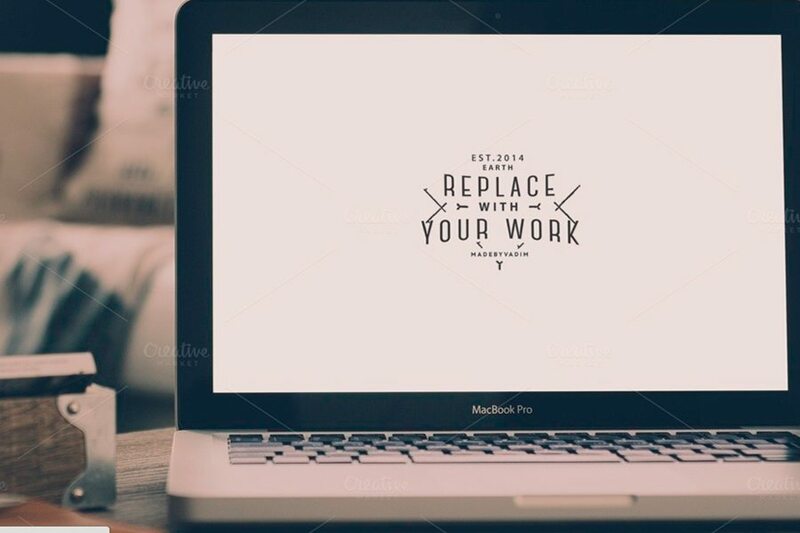 Use this vector for a modern presentation, mockup, or other design. Can be scaled to any resolution you want. 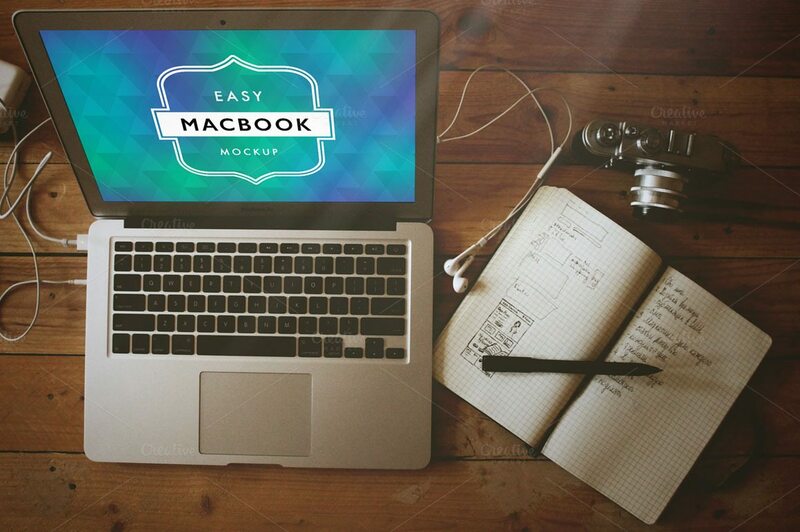 A beautiful MacBook Air mockup, available completely for free. Lovely stuff. Not your typical coffee-cup-hand-holding-device-type of mockup. A hip, stylish and unique MacBook Pro mock up. A high resolution and fully editable PSD (including interfaces) with 200+ individual layers. Included are PNGs and icons for both Windows and Mac OS X. 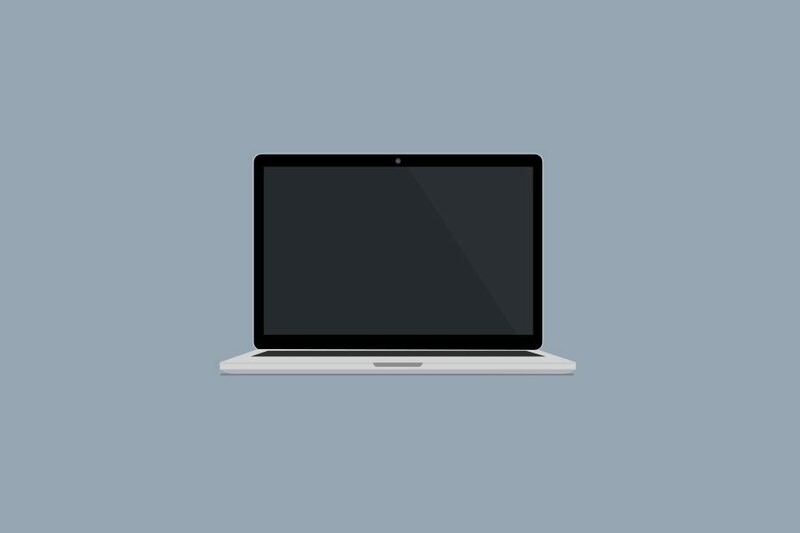 This is a free download of a MacBook Pro PSD (it’s the MacBook Pro with Retina display resolution of 2880 x 1800 @ 300DPI). 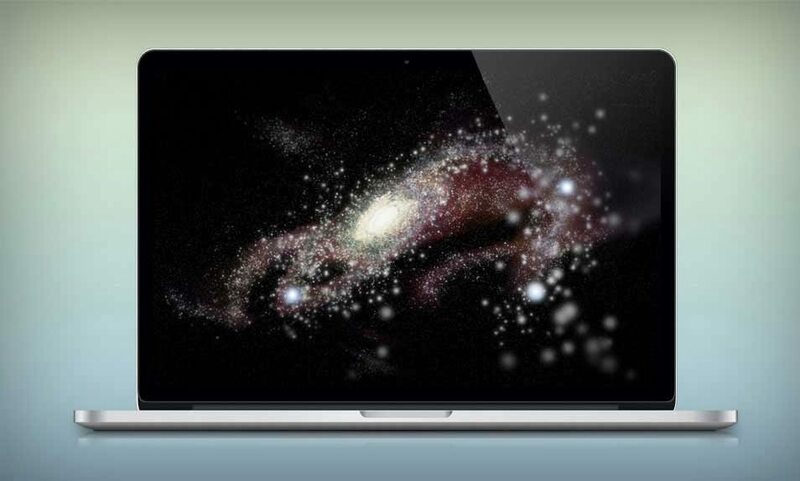 This rather lovely MacBook Pro Mockup was released as part of the launch of UI Space. 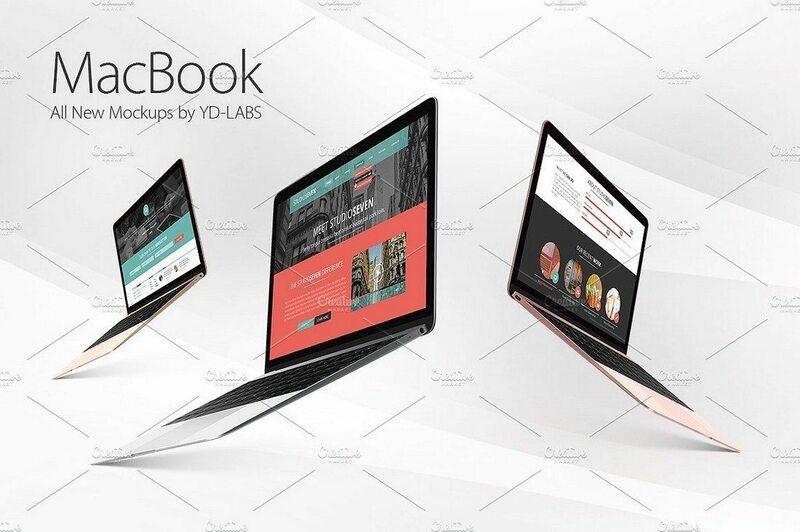 A high-quality MacBook Pro mockup with replaceable Smart Object screens. The brand new Apple MacBook 2015, provided as a PSD Mockup. Simple! These are lovely realistic 3D mockups of four Apple products with long shadows including an iPhone, iPad, MacBook/MacBook Pro and iMac. Beautifully polished and simple enough to allow your own design to shine when shown in the mockup, we’re really pleased with these! A fully layered Retina MacBook Pro, is a super contribution to Premium Pixels from talented designer Nick Herasimenka. 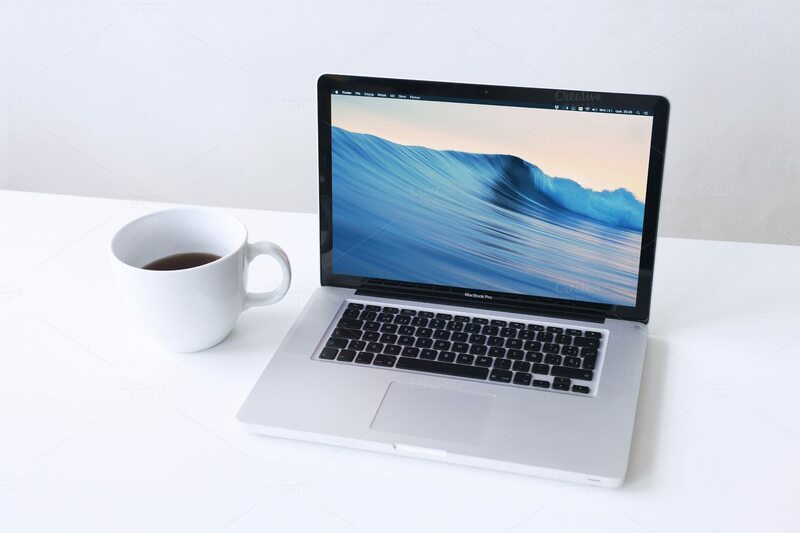 Here is a nice photo-realistic mockup to showcase your app or web design in a MacBook Pro display, plus you can add your logo in a coffee cup. 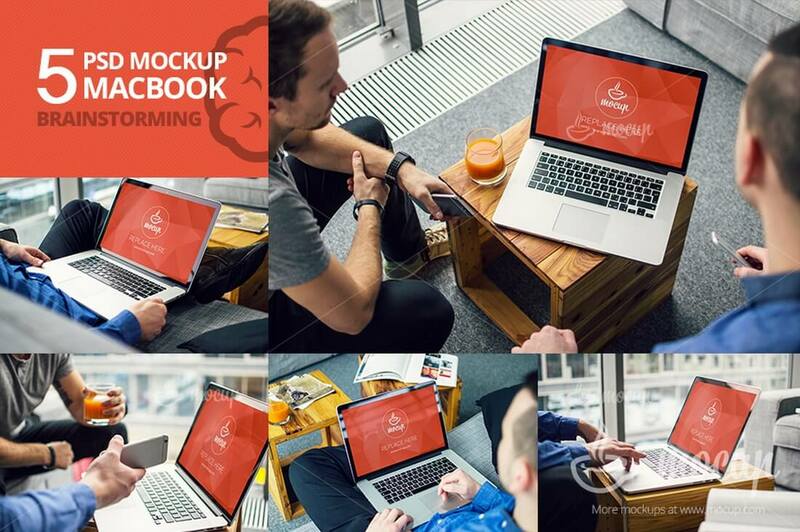 This mockup was made for easy to use, as easy as double clicking and placing your design into the Smart Object. This PSD (exclusively on Creative Market) has a unique perspective, which showcases your work with hyper realistic and professional results in just a few clicks. 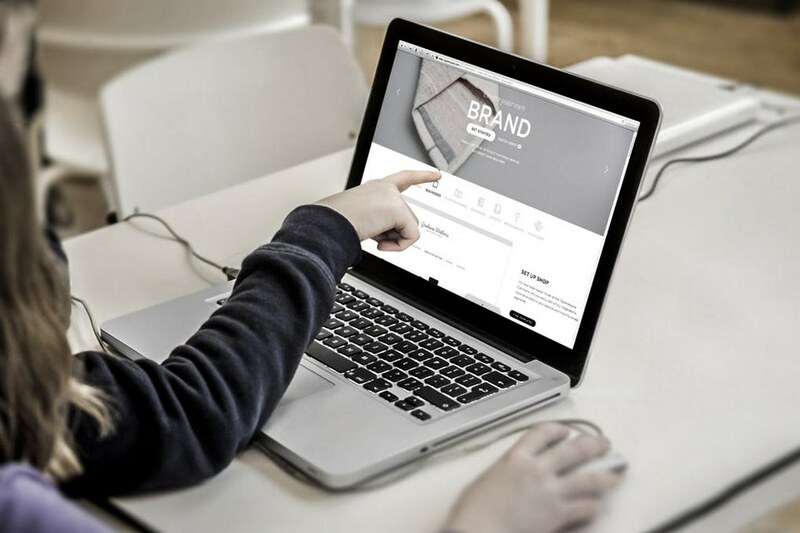 Use the smart layer to easily apply your design on our MacBook Pro Retina mockup screen. 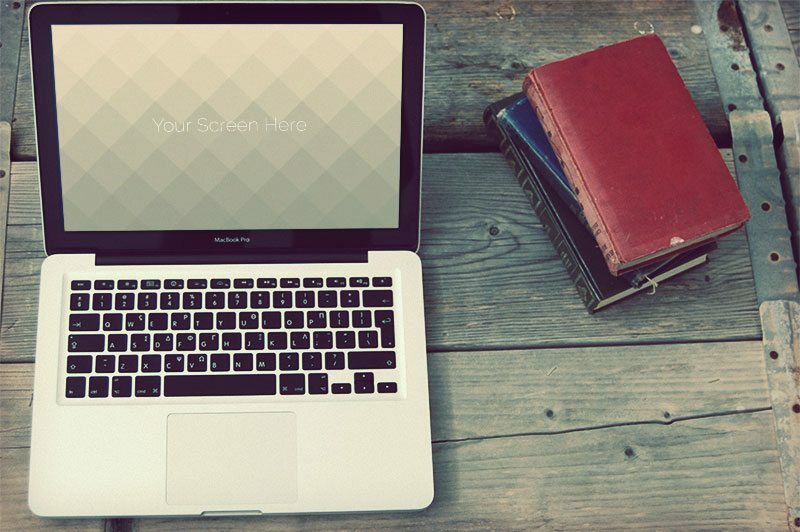 Make your designs stand out with these five beautiful high quality mockups of MacBook Air screens. 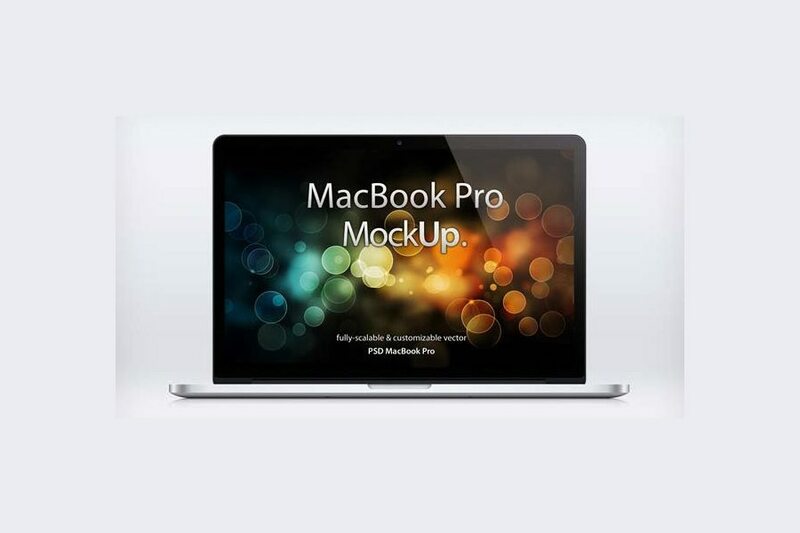 These are 15 scalable, pixel-perfect and photorealistic mockups of the MacBook Pro with Retina display. This layered mockup allows you to quickly display (via smart object layers) your websites, app showcases and other designs. 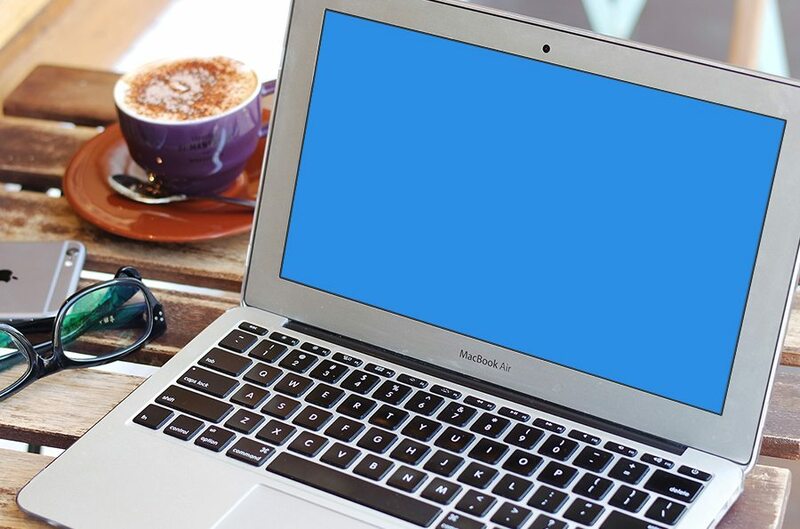 A simple scene depicting work on MacBook Pro at a restaurant/cafe, for you to use in demonstrating your work. 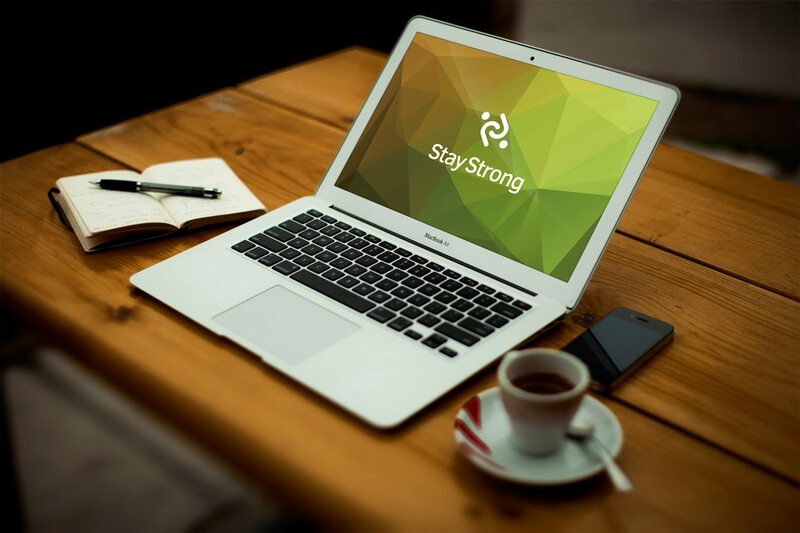 Thanks to smart layers you can quickly apply your design on this MacBook Air PSD mockup screen. Enjoy! 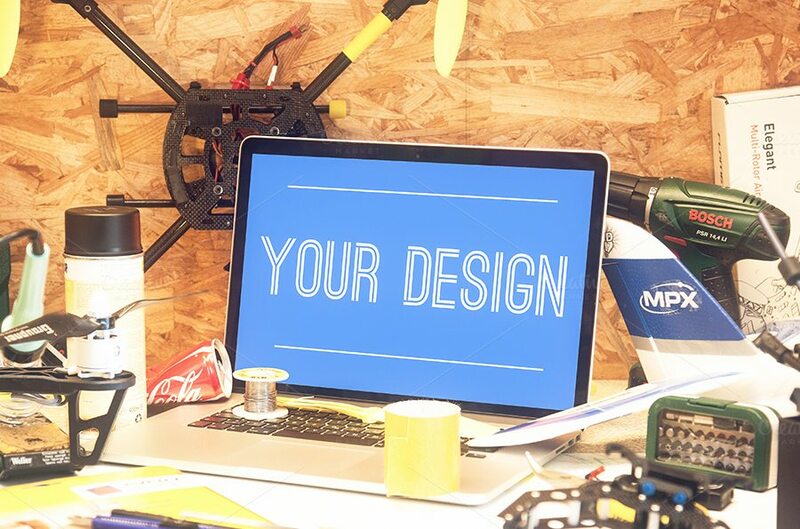 Make your designs stand out with beautiful high quality mockups. 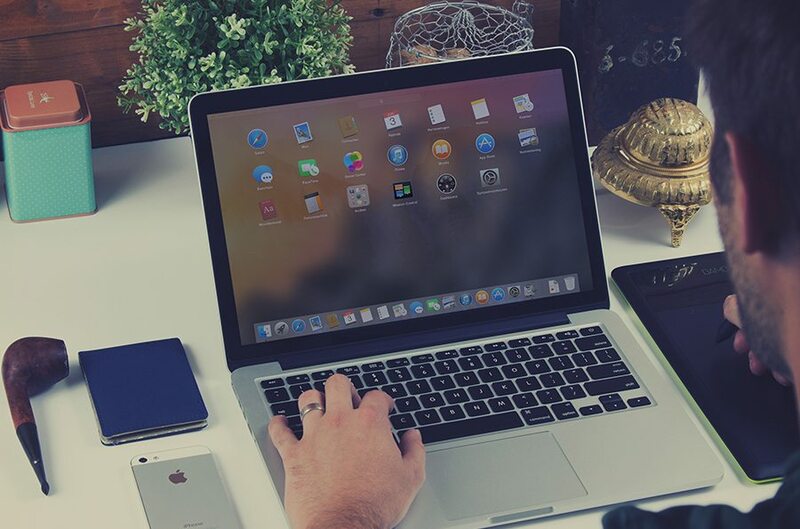 Place your design into a MacBook Screen and give it a realistic look while presenting your designs for clients or customers. I wanted something a bit more glossy with some alternative reflections and a view over the keyboard. So this is it! 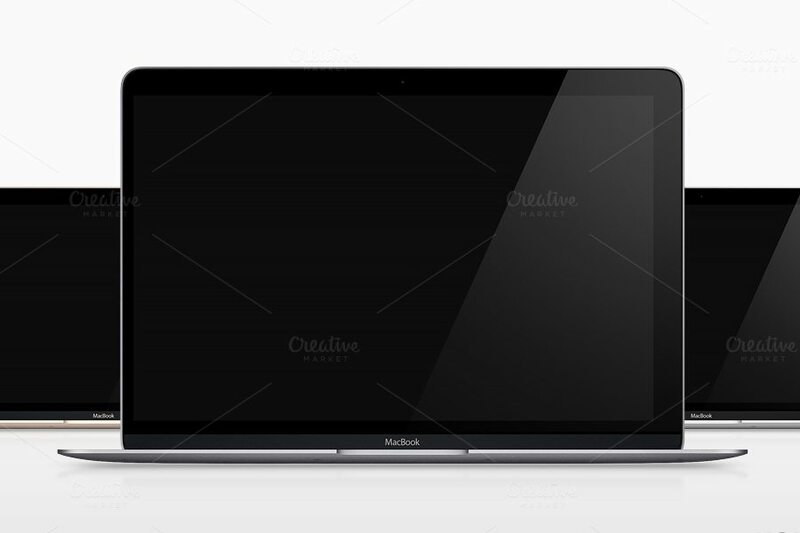 This one is a premium photorealistic PSD Mockup of the MacBook “Cover Me”. Easy to use because of smart layers. Ready to present your wallpapers. 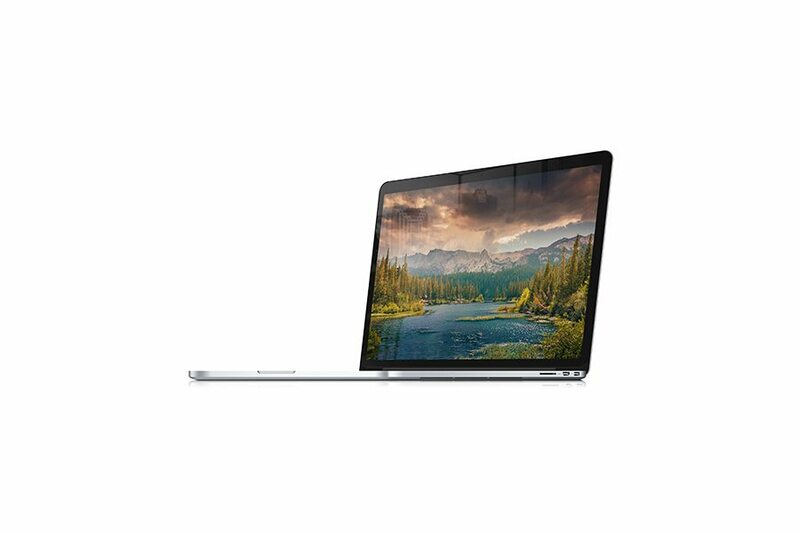 This high-quality promotional shot is perfect to show off any kind of app, or website or media project, within the screen of the MacBook Pro. 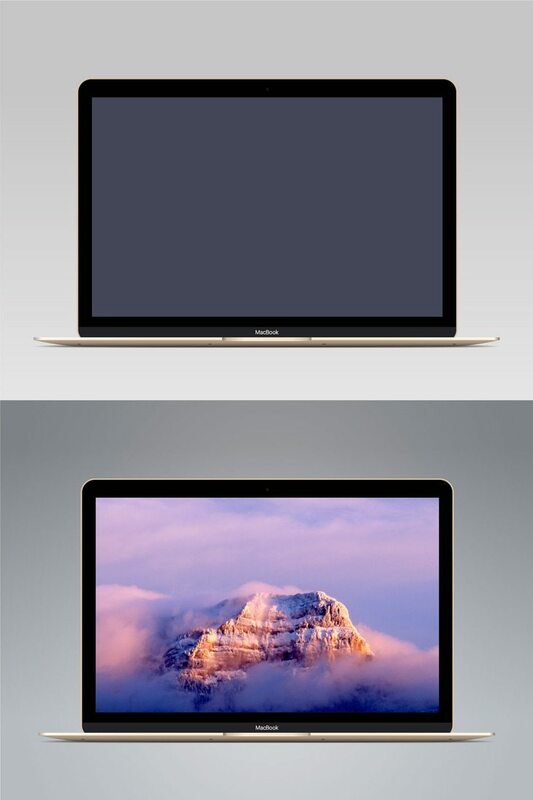 This is the very first mockup set of the new MacBook, in multiple angles and from different perspectives. 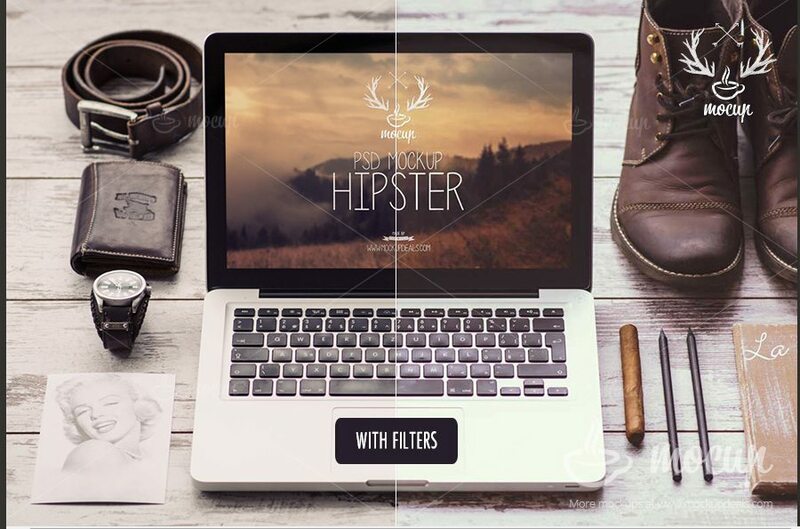 This one is a premium photorealistic PSD mockup of the MacBook Pro named “Hipster”. You can see why! Easy to use because of smart layers. Ready to present your works. 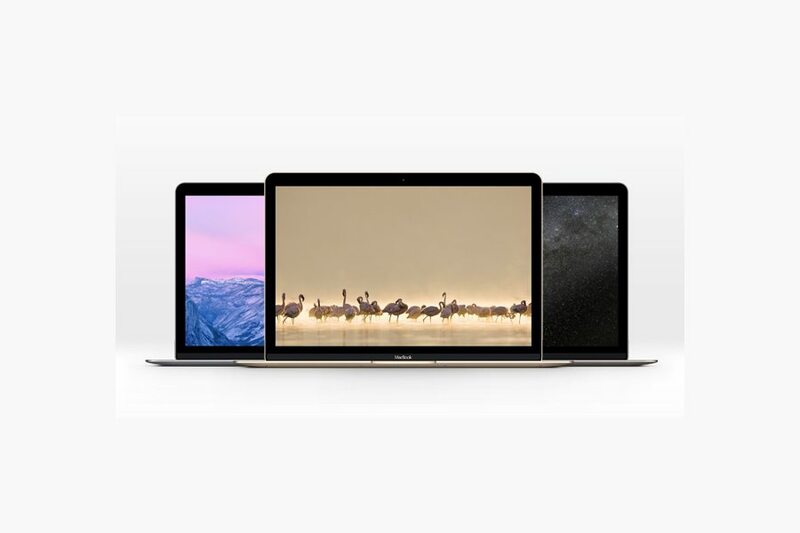 A brand new set of four MacBook Pro photorealistic mockups. Photoshop files comes with smart objects & filters so its super easy to use and modify. Photo fliters can added or removed to add a personal touch. 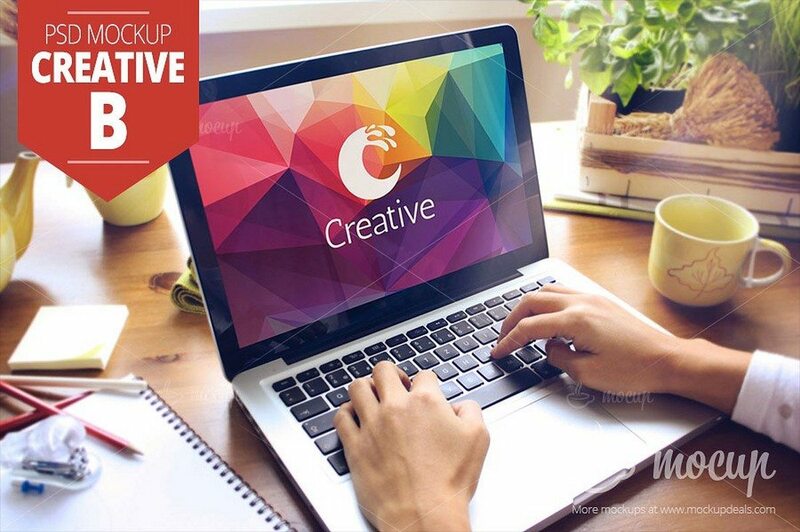 20 photorealistic PSD mockups (MacBook Pro, MacBook Air) bundle of MacBook collection to present your websites or application design. Extremely easy to place your designs using smart objects, just double-click, copy and paste your design and voilá, you’re done! Free mockup design of MacBook Pro on a terrace. Presented with a coffee cup, glass of water, and a few bits of paperwork! This one is a compeltely free download of a PSD iMac & MacBook Retina mockup (it’s the new iMac and MacBook Pro with Retina Display). 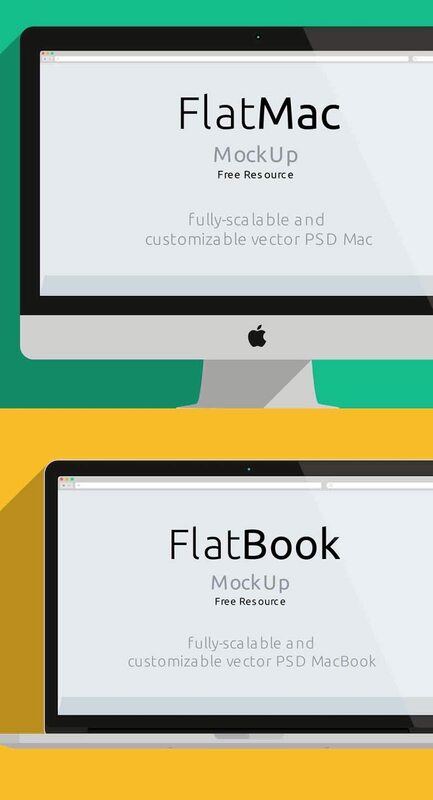 A flat design version of the iMac and MacBook in a PSD and Vector mockup template. This one is for something a little bit different! 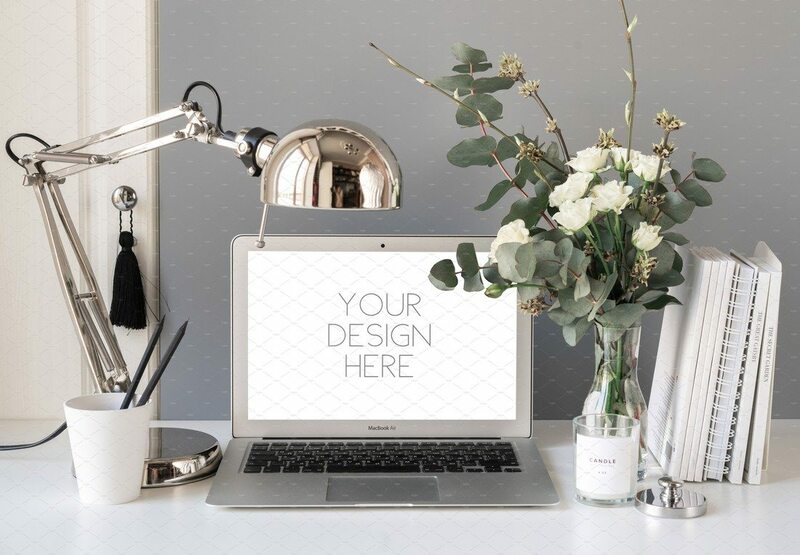 Bring your design to life with this gorgeous product mockup. Simply replace the carefully positioned smart object to see your design replace the blue section of the image. Perfect for use in presentations or meetings. 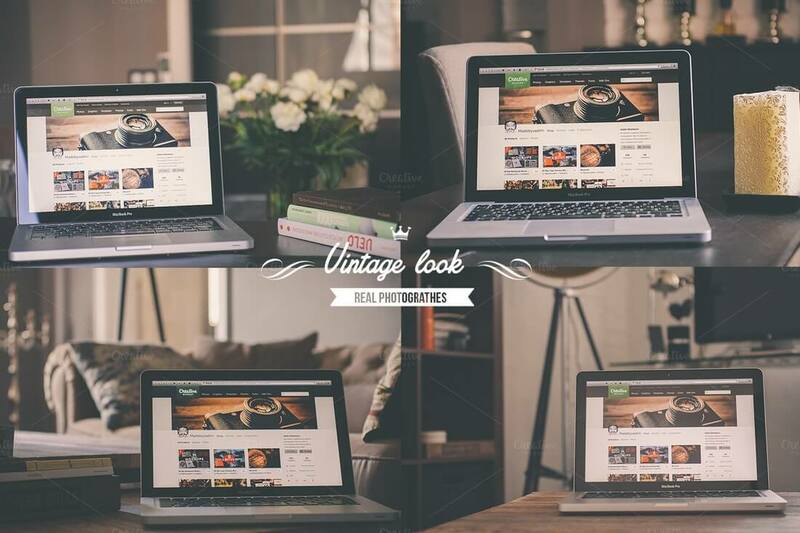 This is an another set of four vintage MacBook mockups based on real photographs. The Photoshop files contains smart objects so adding your own screens is easy. Photo filters are also included in the file to change the vintage look. 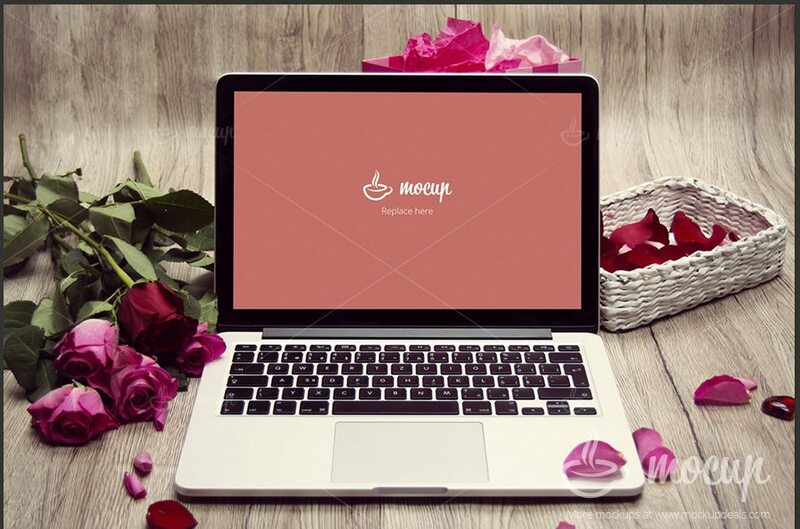 Premium photorealistic PSD mockup of the Valentine’s Day (MacBook Pro). Easy to use because of smart layers. Ready to present your works. This is a free download of a collection of MacBook Pro PSDs, shot from different angles and perspectives. A fresh, summertime inspired MacBook Air mockup created by Zan. Use this photorealistic, fully editable resource to present your apps and web design projects in a beautiful manner. 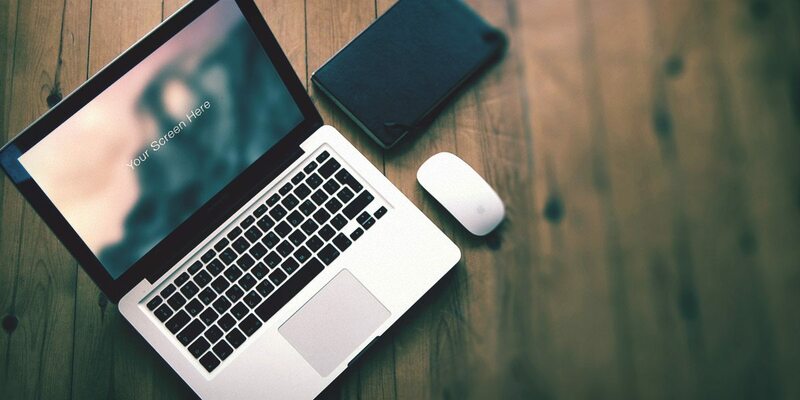 A photorealistic PSD MacBook Pro mega mockups set to present your websites or application design. Extremely easy to place your designs using smart objects, just double-click, copy and paste your design and voilá, you’re done! 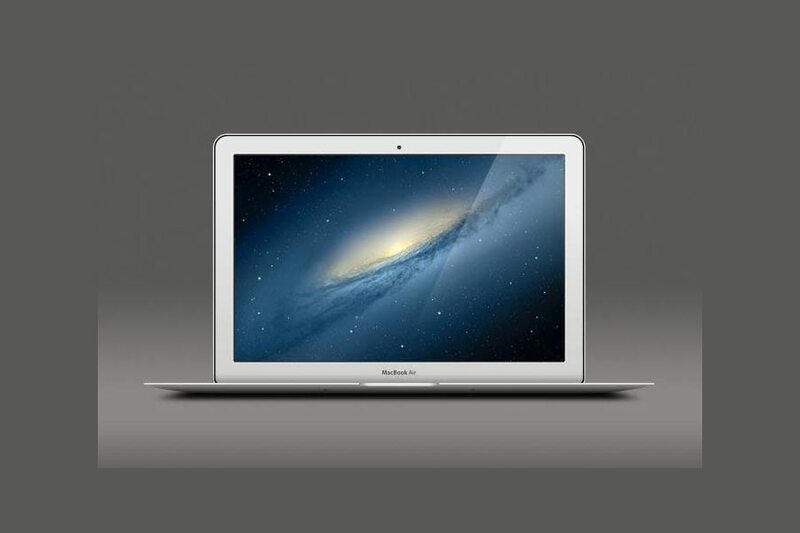 This one is a “plain free mockup” of MacBook Air. Simple! 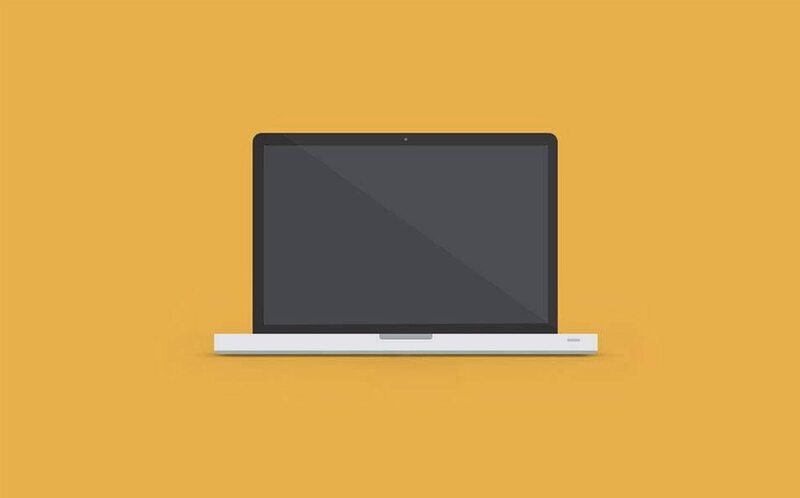 This is a simple to use MacBook template. Practical to present your design or website. Included: 1x high resolution layered Photoshop file. What else do you need? 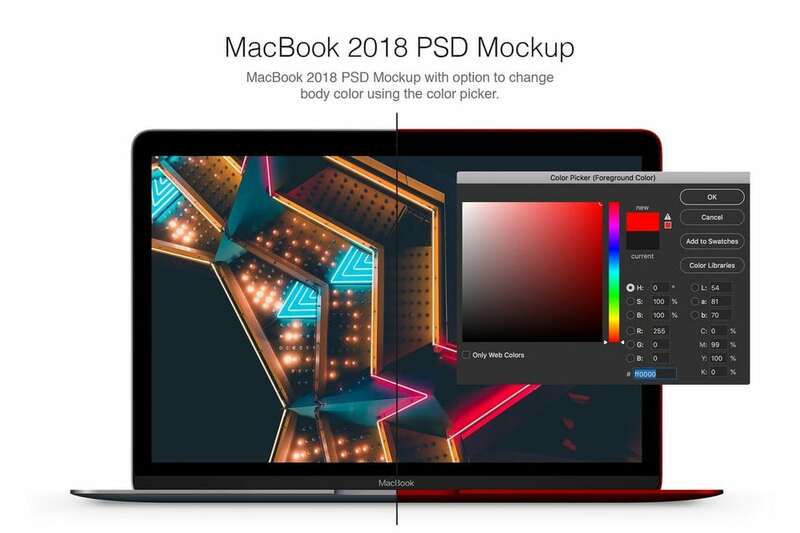 It’s a high resolution flat MacBook Pro PSD file. It includes a silver/aluminimum MacBook from a table top view, as well as a flat laptop on dark background. 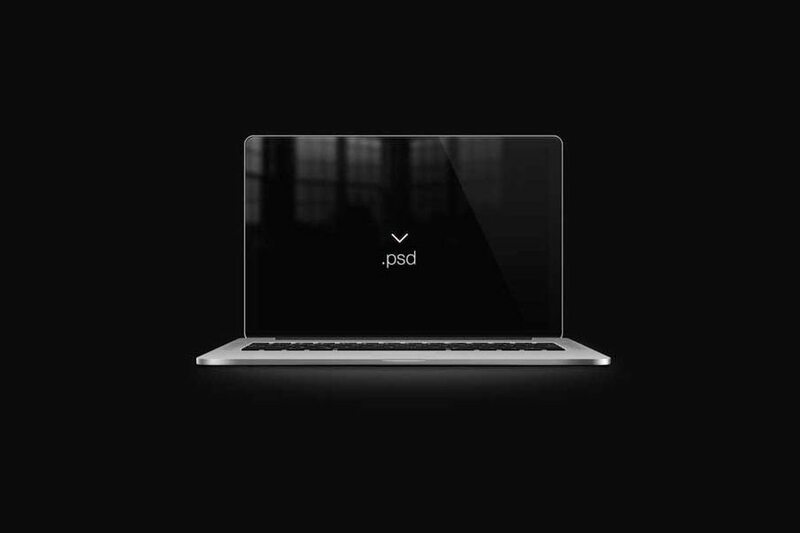 The pack contains 12 PSDs with MacBook, iPhone and iPad mockups. 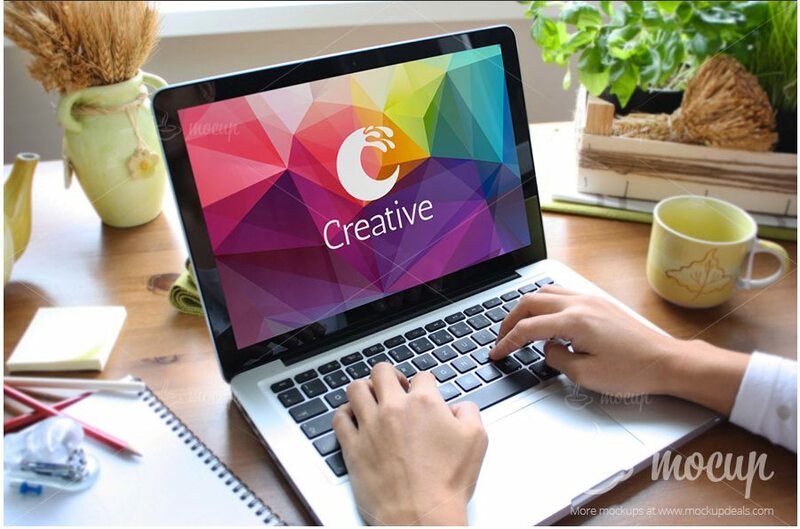 You can use them in any creative projects, through the well-organized PSD’s. All scenes are 300DPI ready for print or you can downsize them for web, and all scenes are powered by Smart Objects. This is a premium photorealistic PSD mockup of the MacBook Air in “Autumn” time. 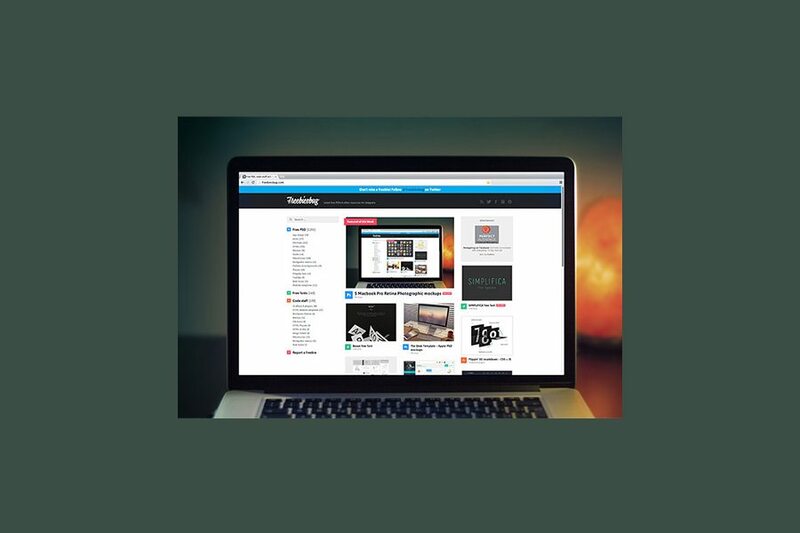 Easy to use because of smart layers, and ready for you to drop your work in. A premium photorealistic PSD mockup of the MacBook Pro “Nottingham B”. Easy to use because of smart layers, and ready for you to drop your work in. 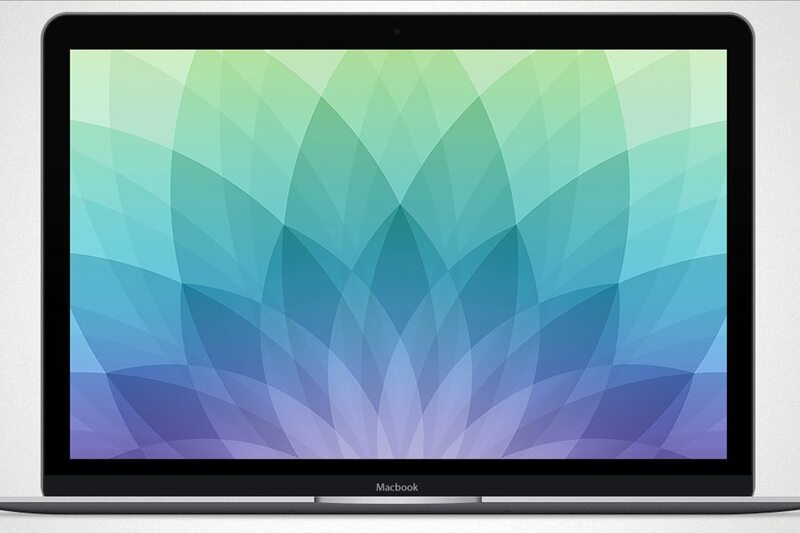 A complete MacBook (2015) mockup that includes a full sized wallpaper, with Gold, Silver and Space Grey mockups. 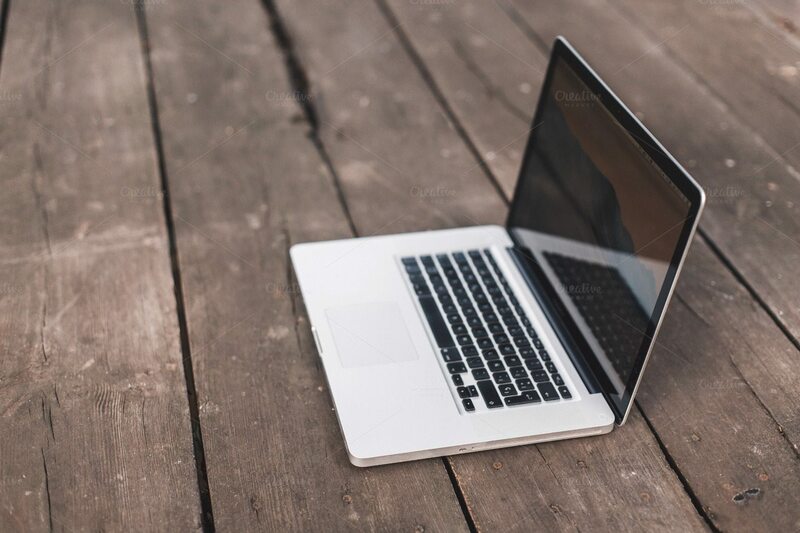 A simple side view of MacBook Pro on a wooden table. A flat mockup of a MacBook or MacBook Pro, with a stylised grey finish. It’s provided as a PSD and a fully scalable vector. This is a lovely unique take on this type of product mockup, with flat colours and simple lines. Premium photorealistic PSD Mockup of the MacBook Pro. Easy to use with smart layers — just drop your work in! 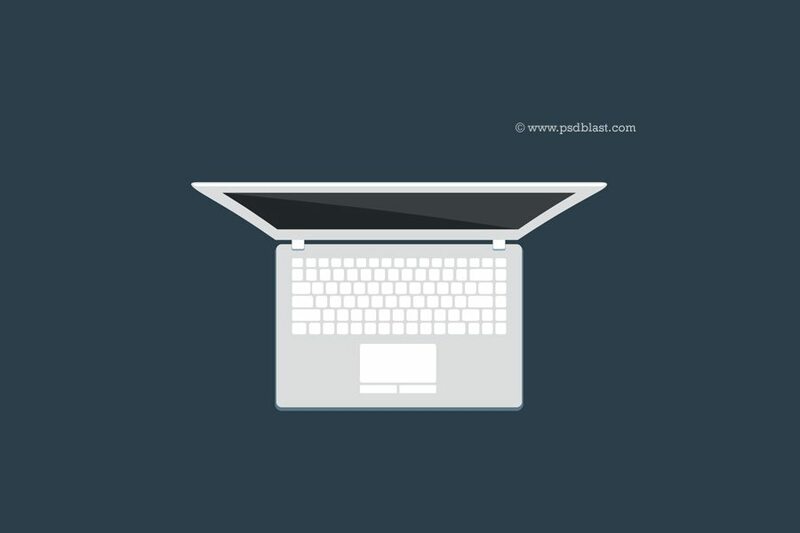 A minimal, plain top-view of MacBook Pro, placed on a flat table. 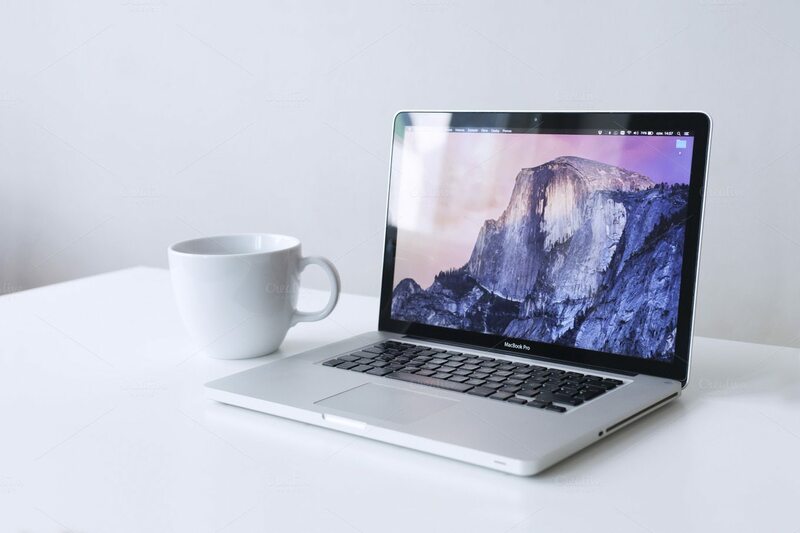 This one is a simple Apple MacBook Pro mockup with a plain coffee mug. This mockup comes with a filter effect so you can edit it as you like, change color tone and make it look like vintage/retro. The filters are similar to Instagram photo effect. 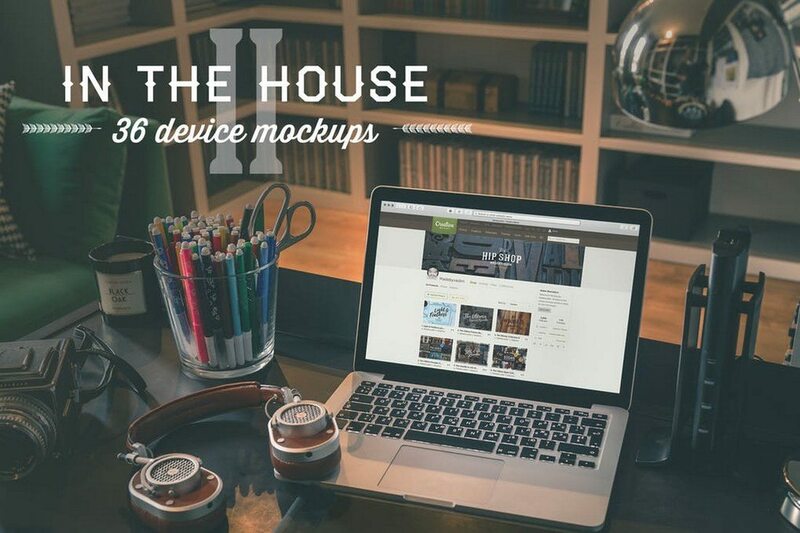 Are you looking for a collection of devices mockups for another category? 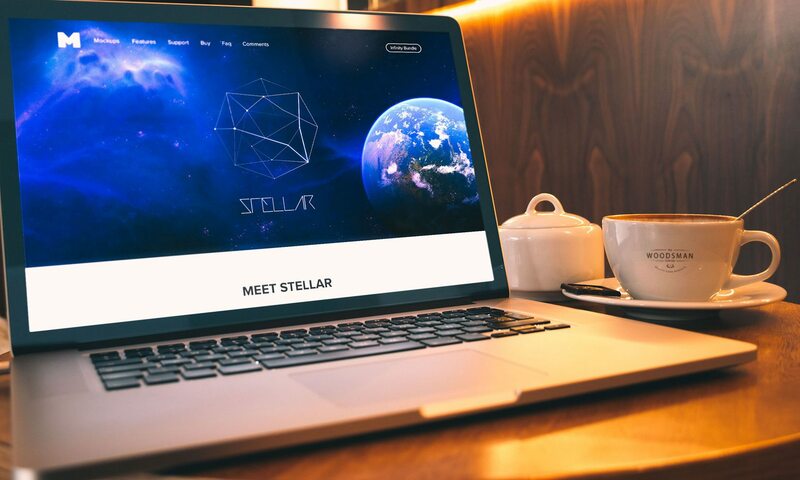 We have several other features to help you out! Replatforming? Here’s how to get agencies involved.